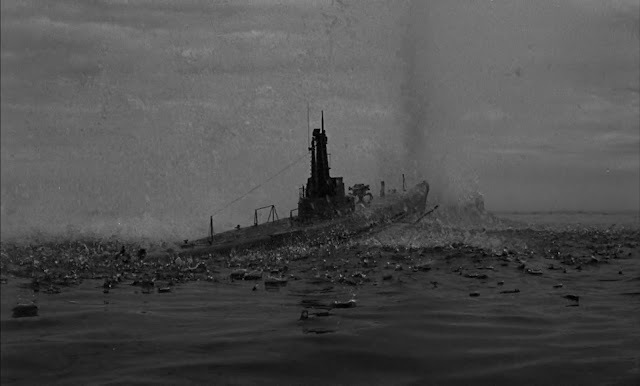 Some state of the art for 1958 miniature effects here, not surprising given the miniatures were supervised by Howard Lydecker and photographed by Clifford Stein. 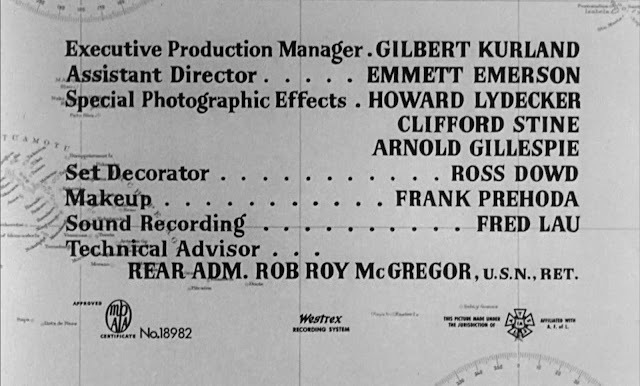 A Arnold Gillespie also gets a credit, again no slouch when it comes to miniature effects, though here I think he may have been responsible for the rear screen process shots. 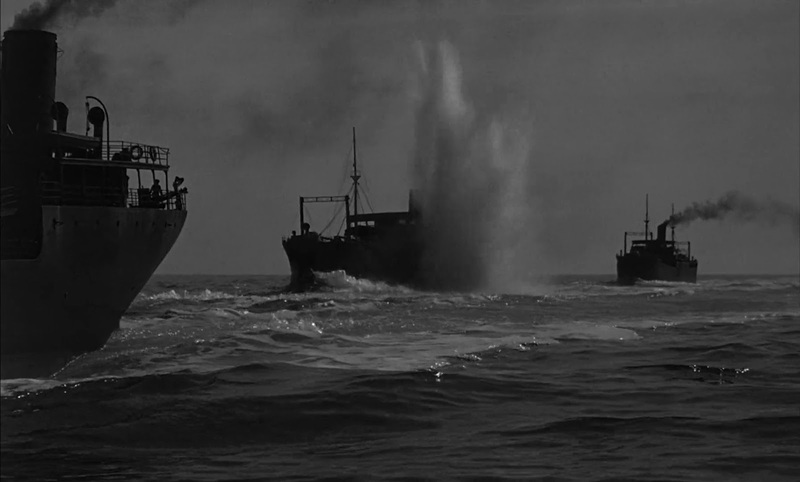 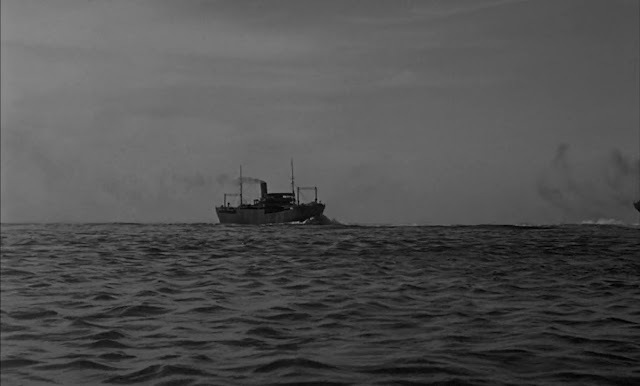 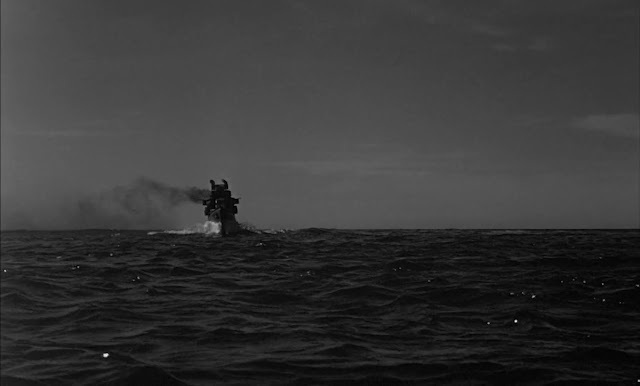 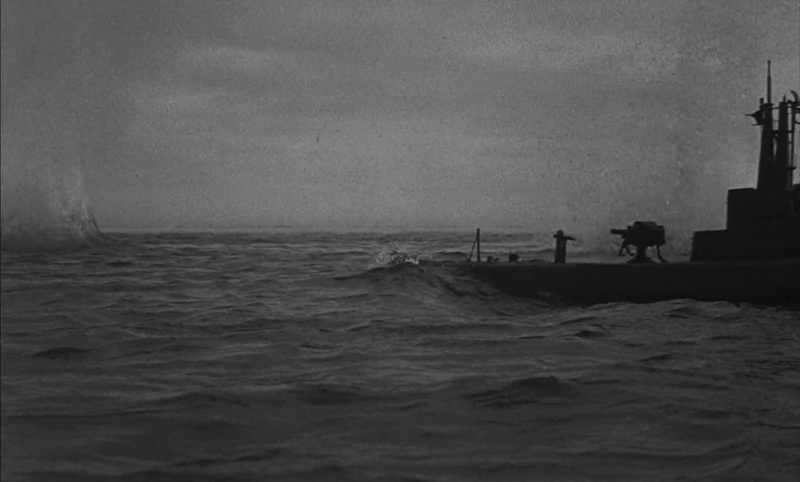 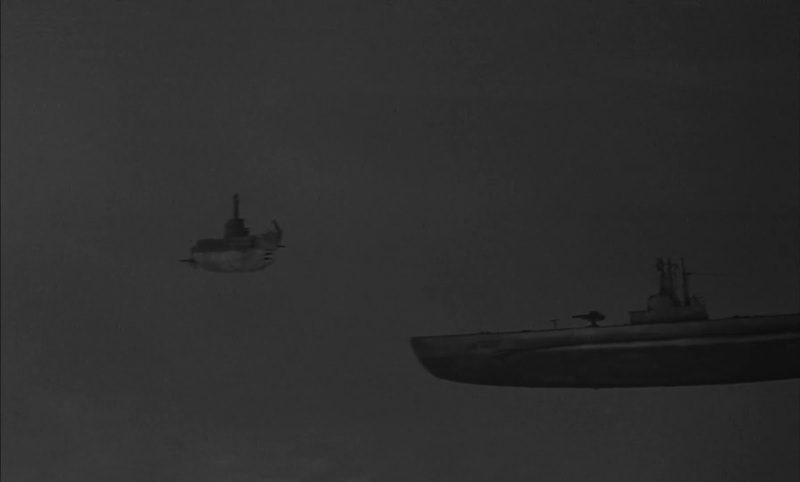 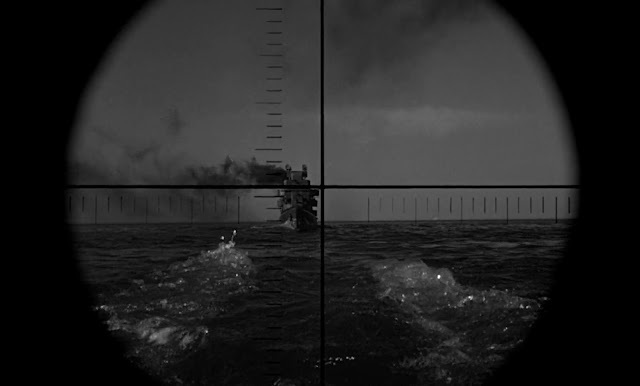 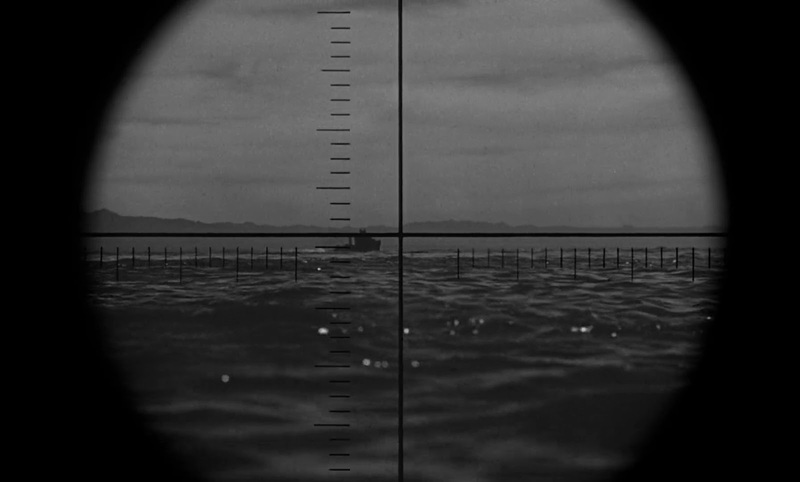 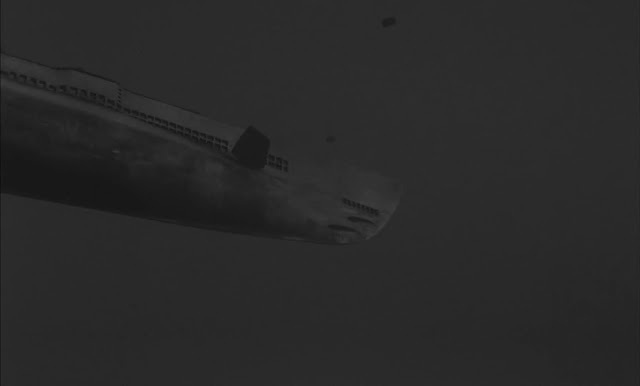 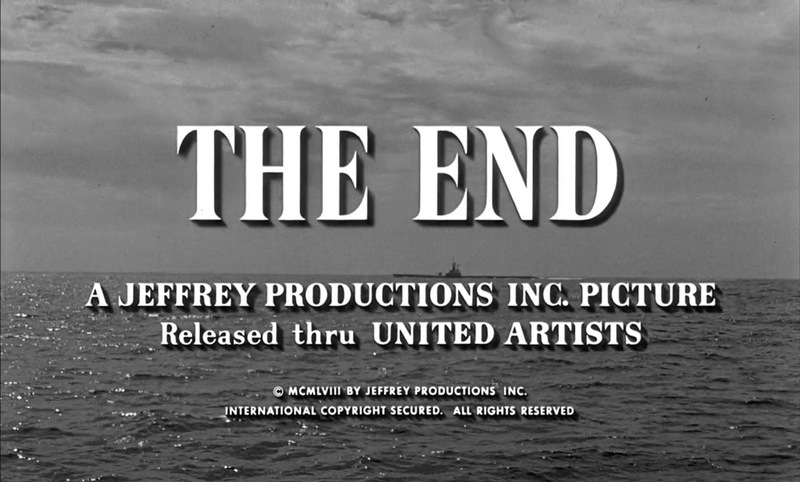 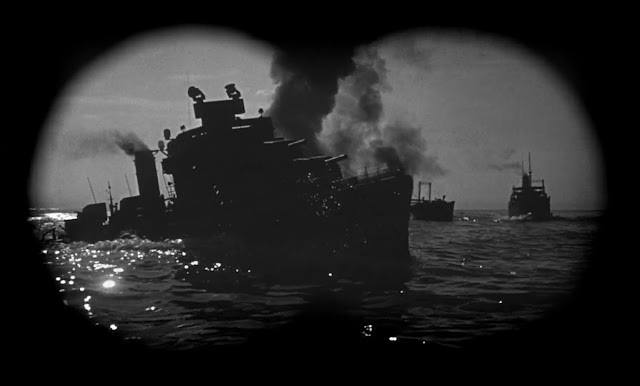 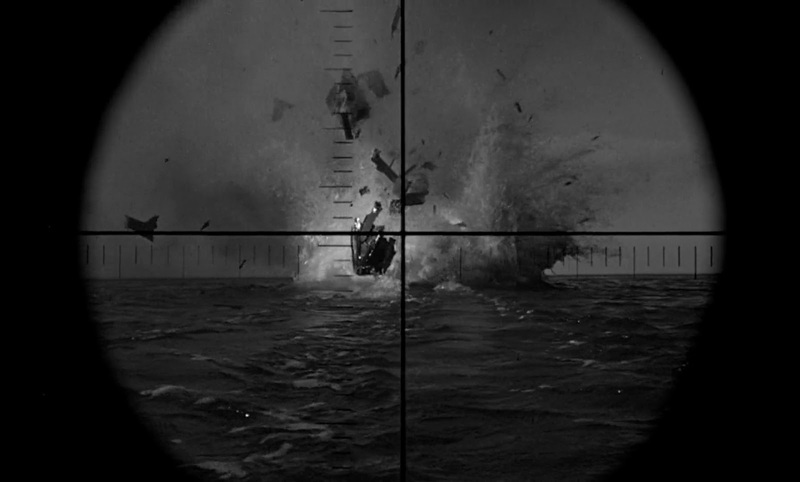 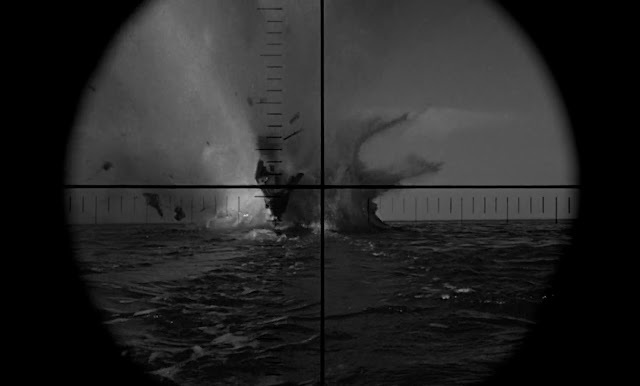 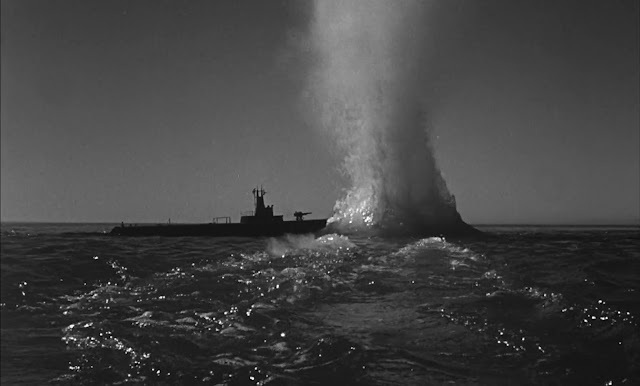 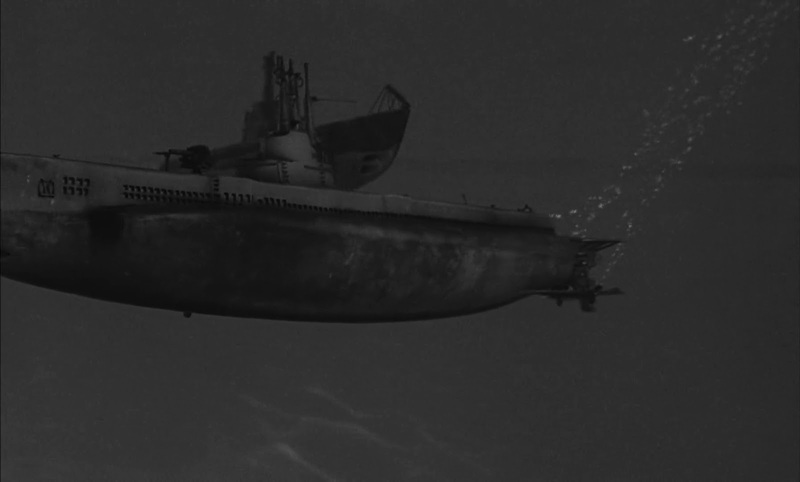 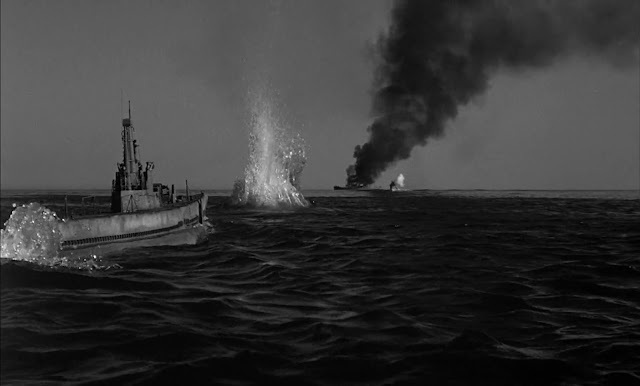 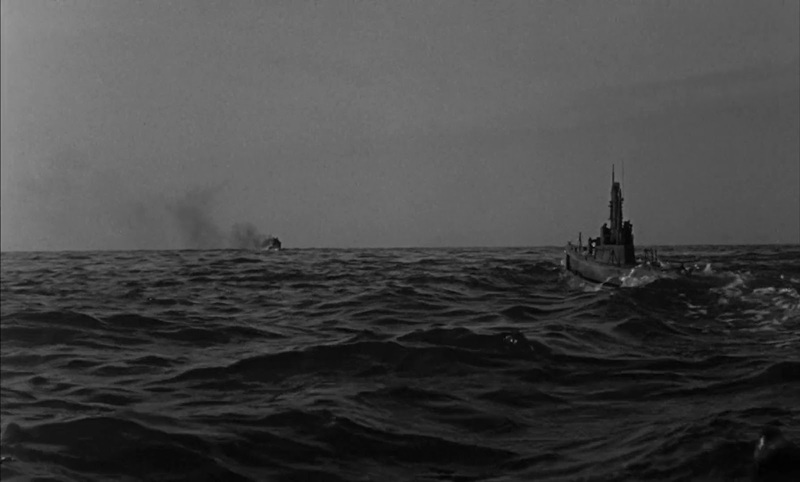 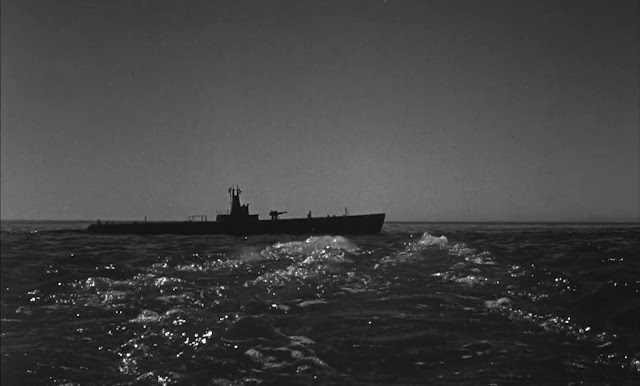 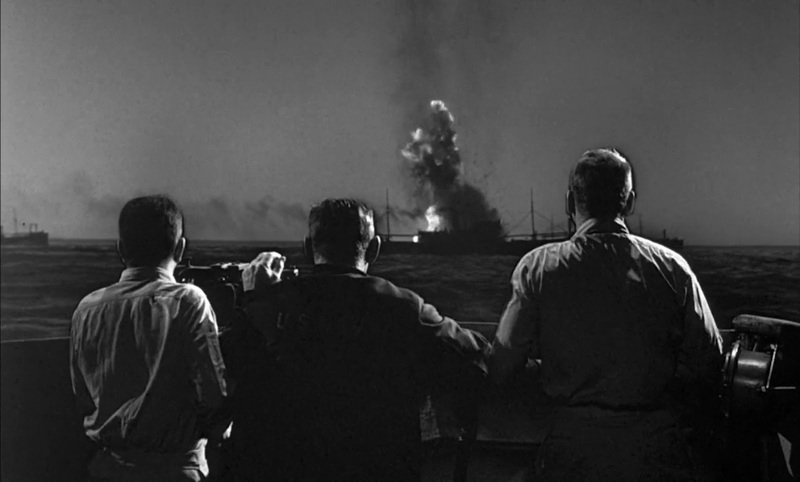 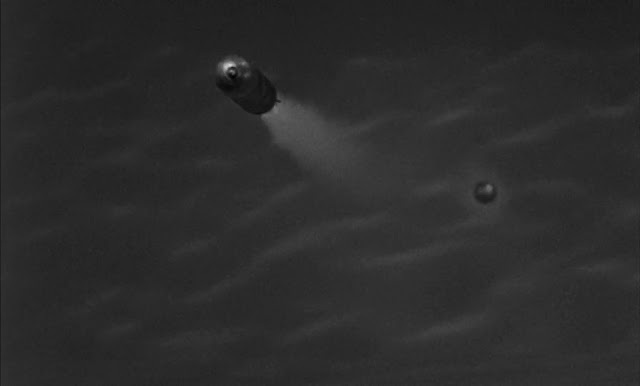 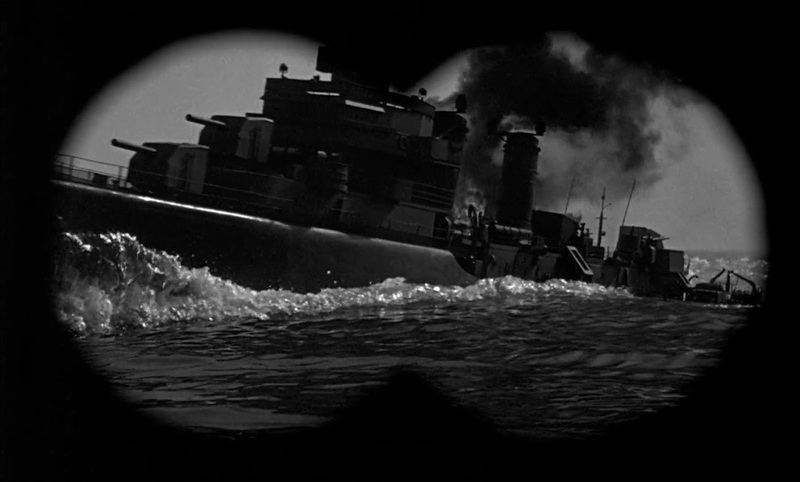 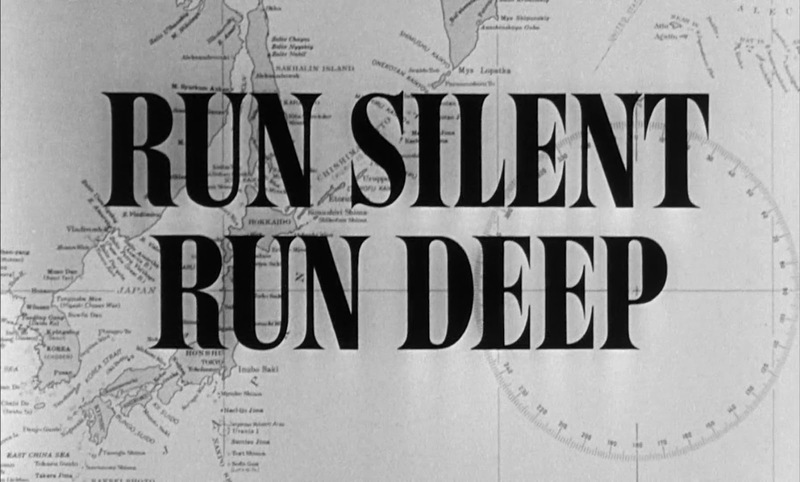 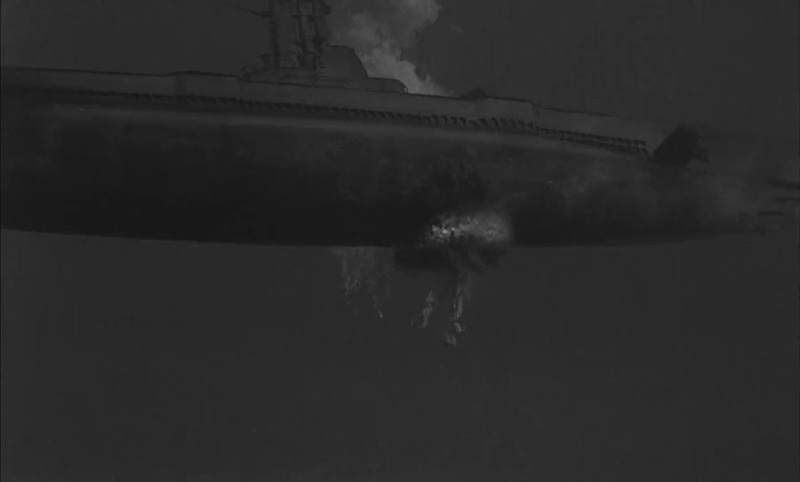 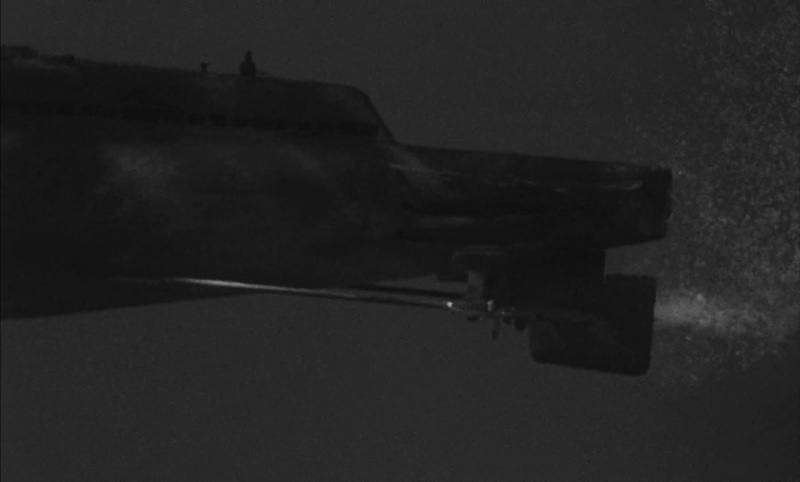 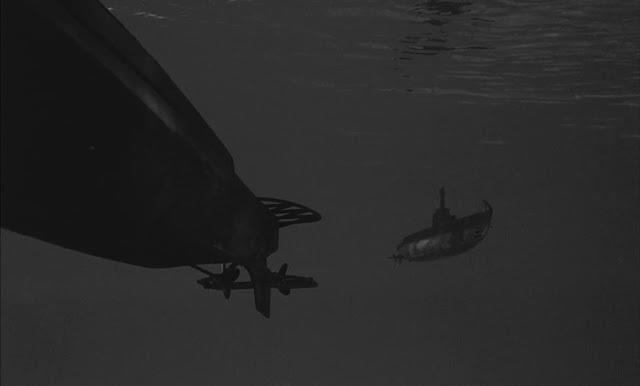 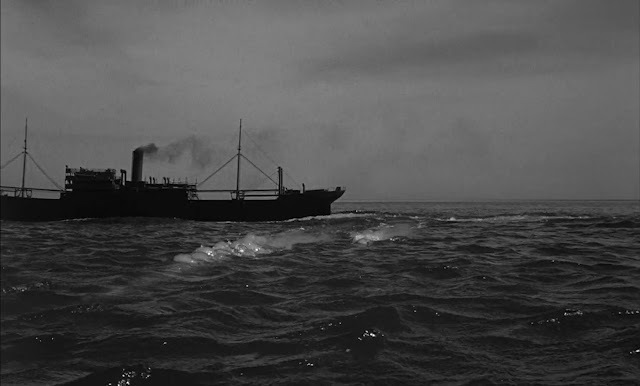 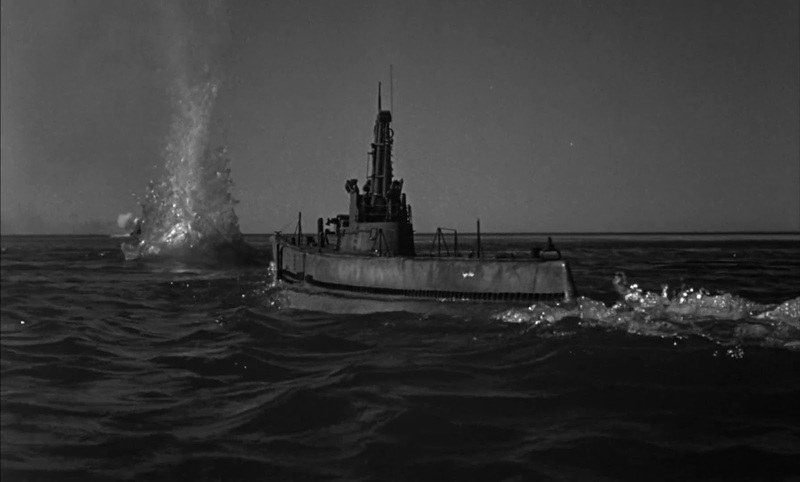 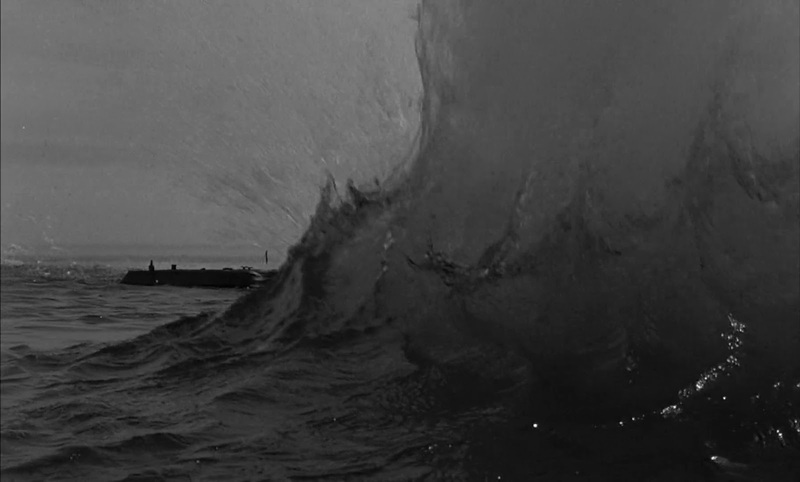 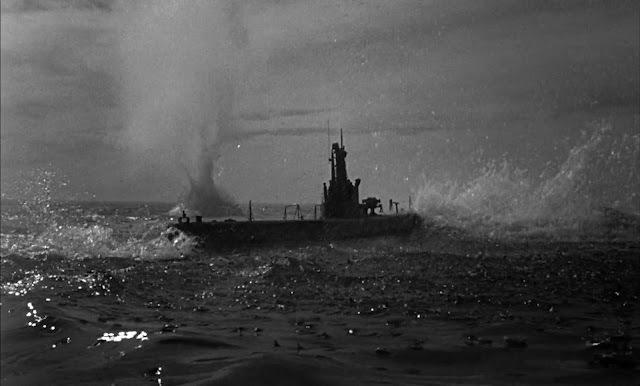 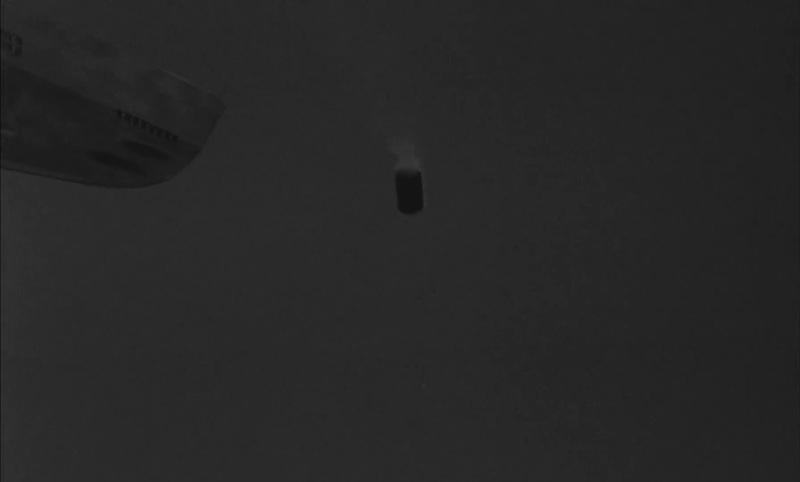 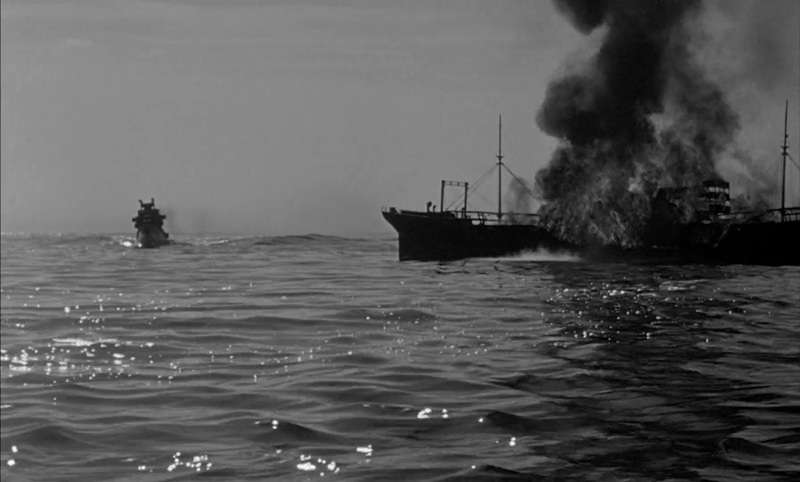 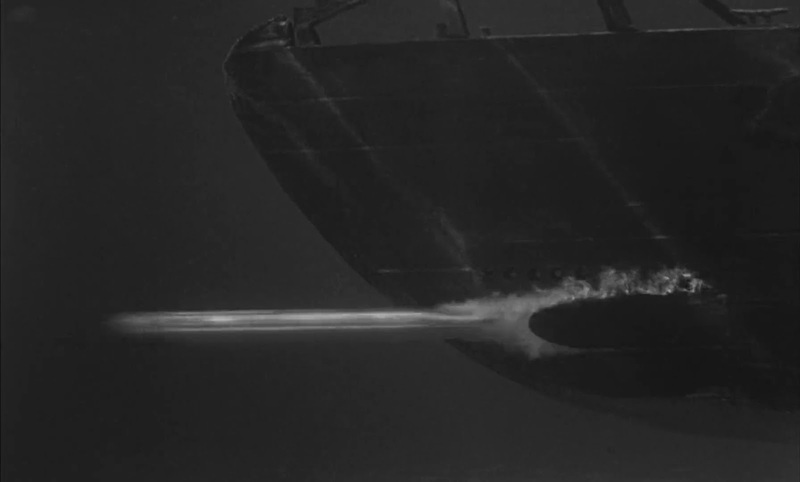 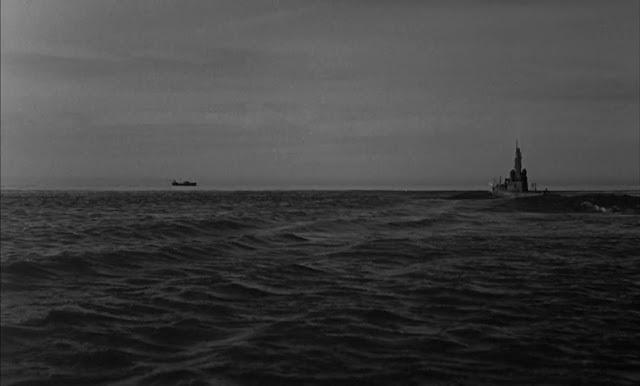 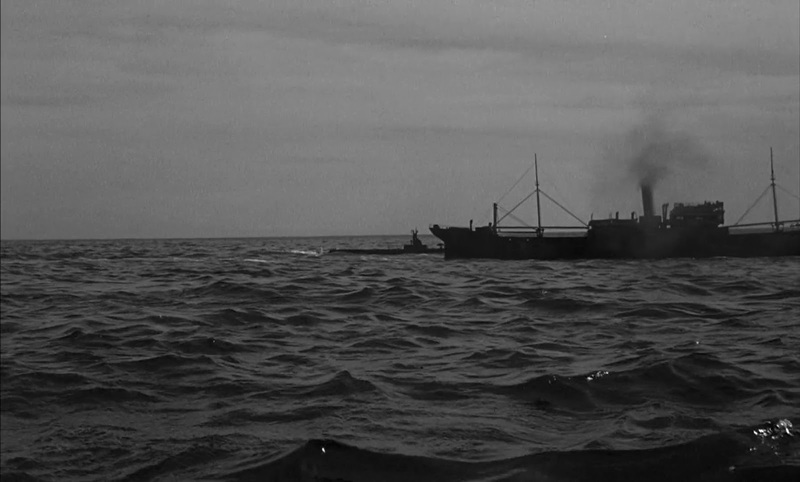 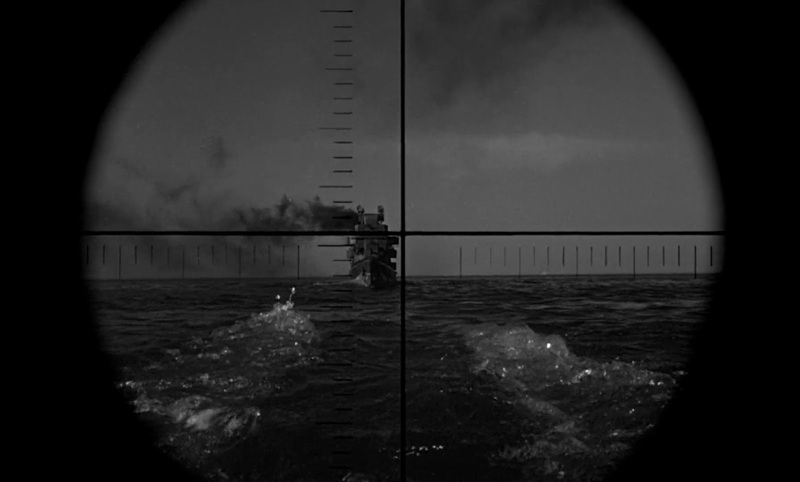 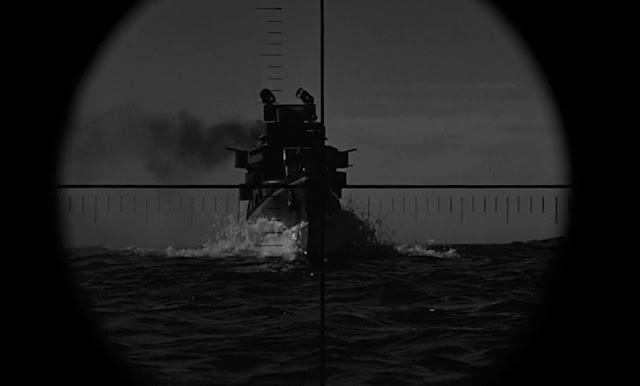 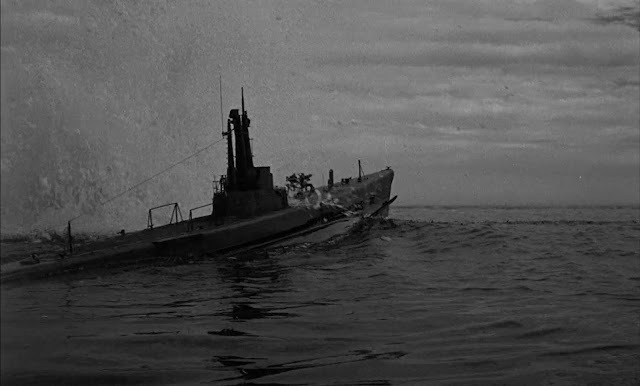 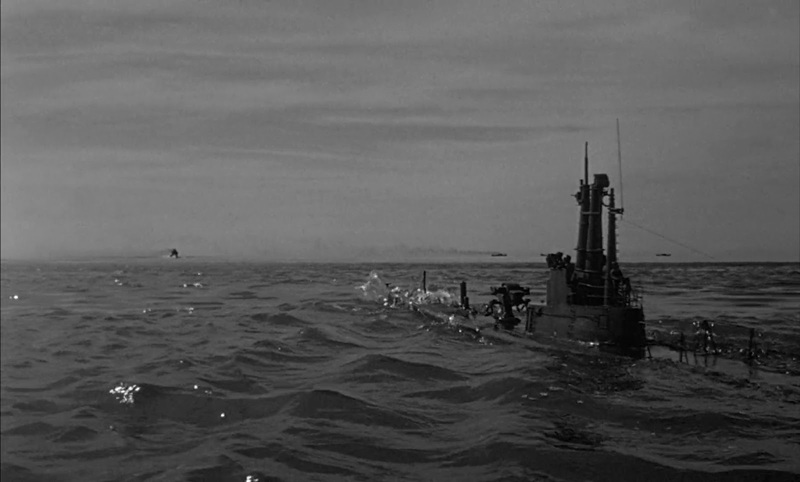 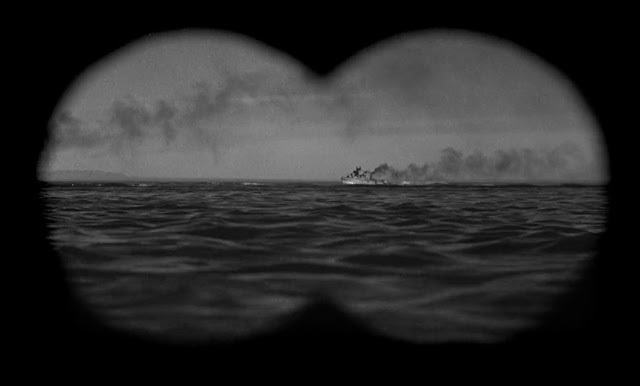 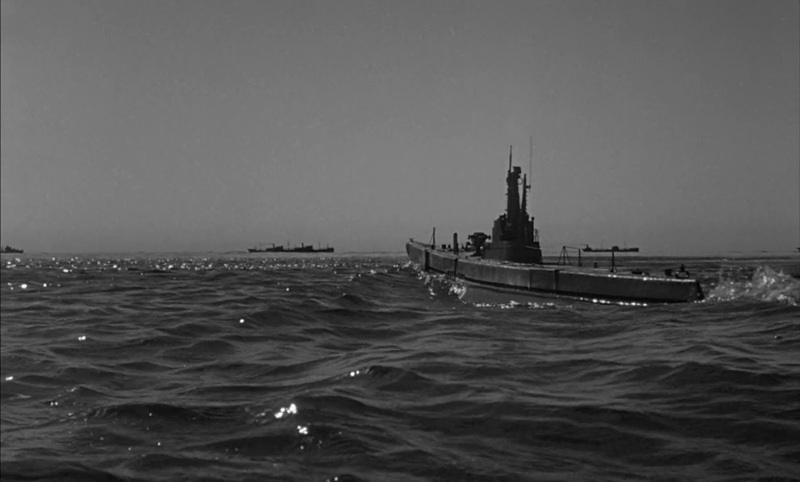 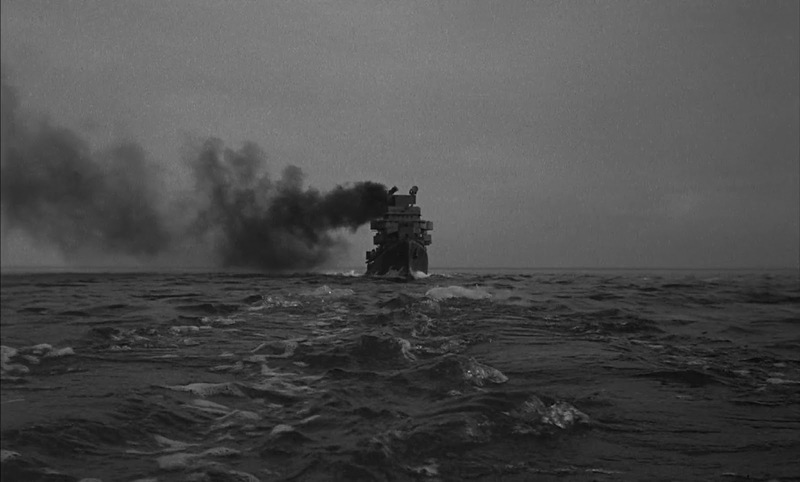 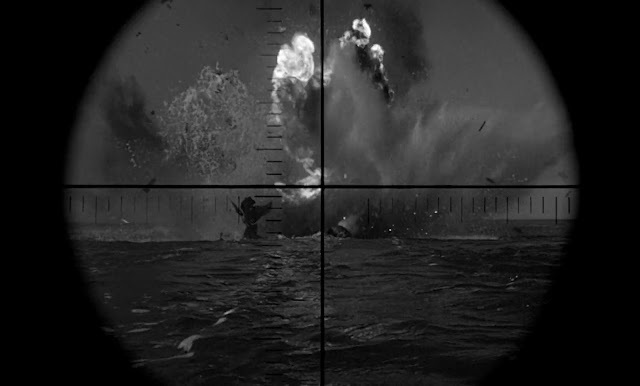 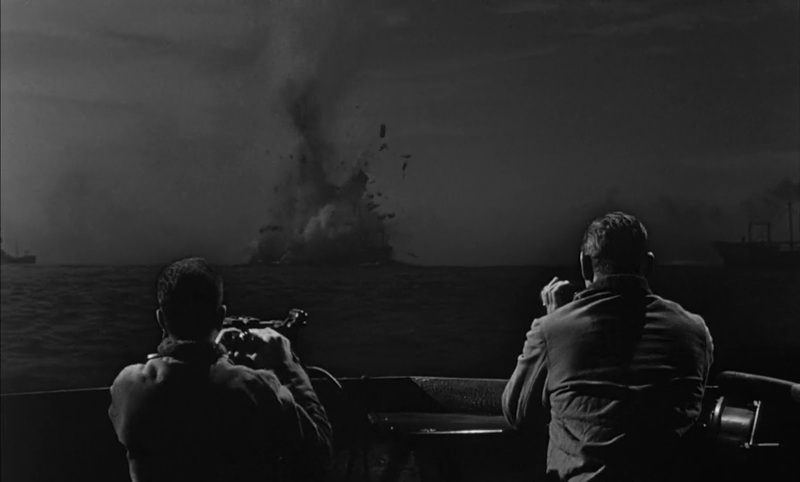 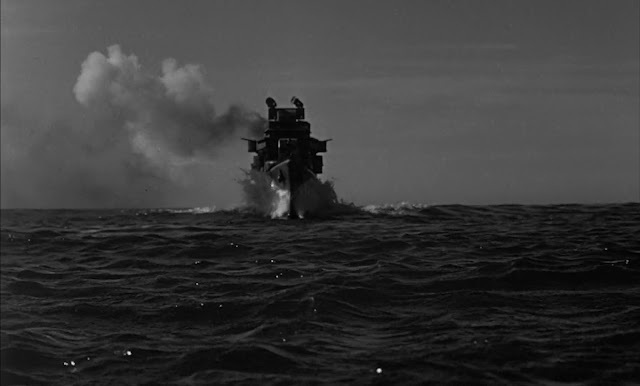 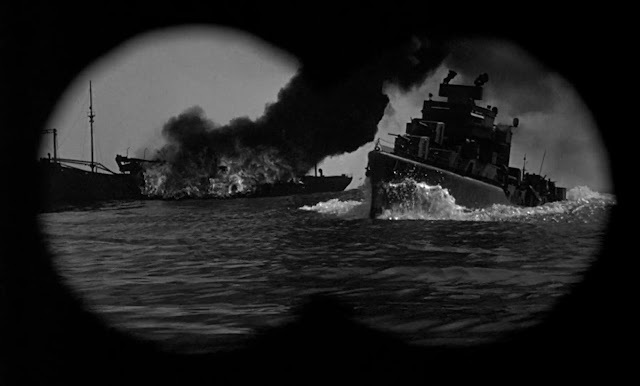 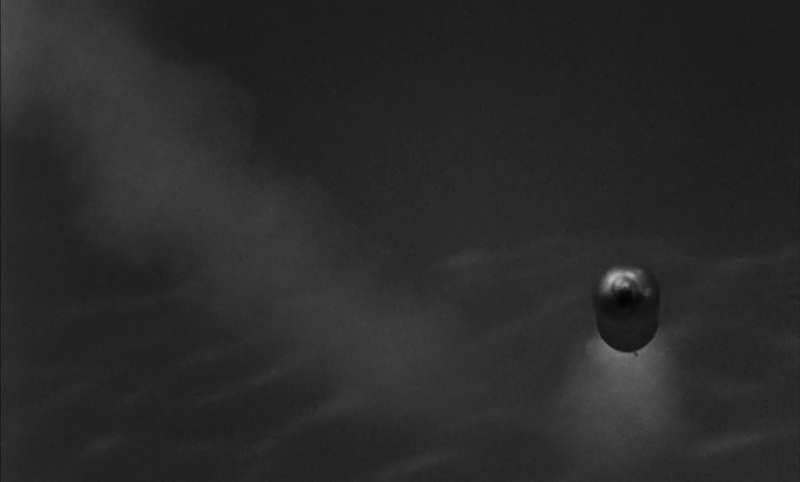 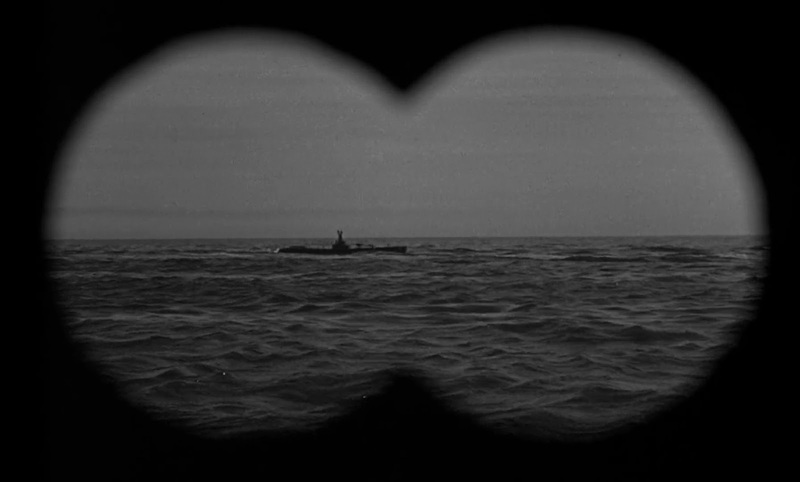 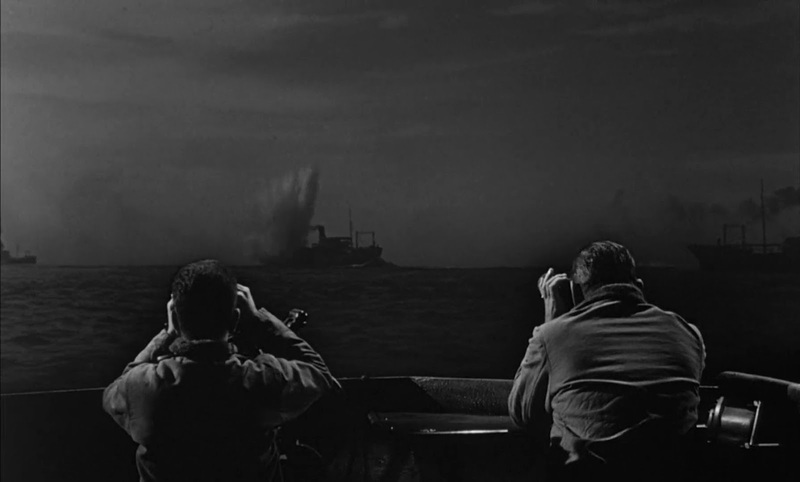 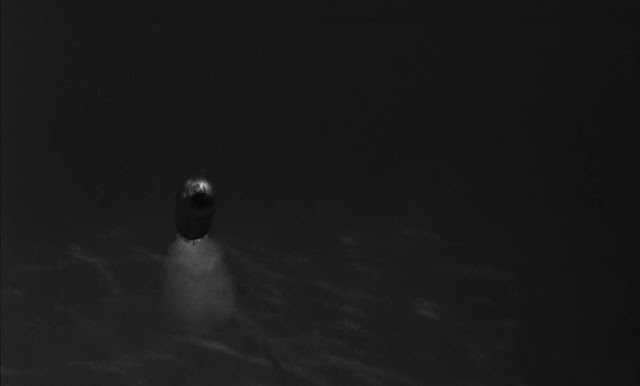 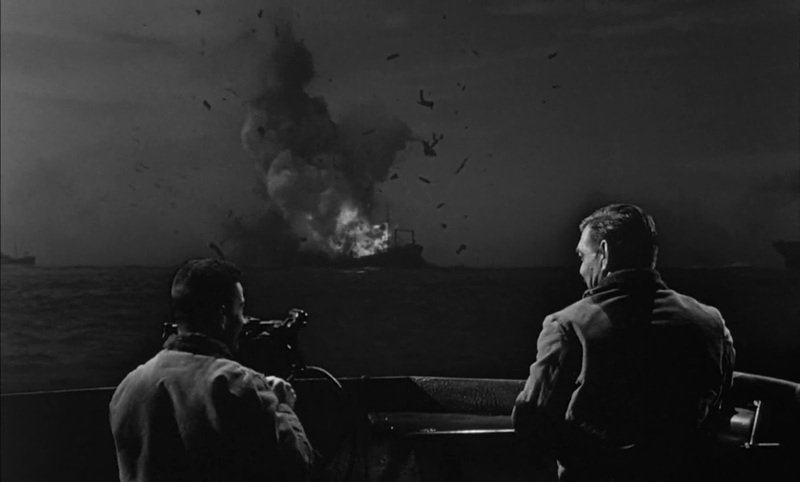 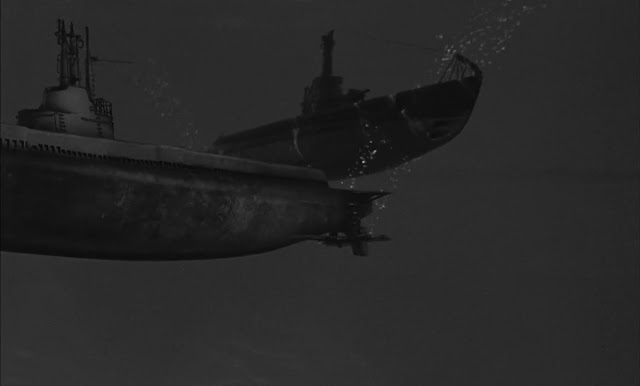 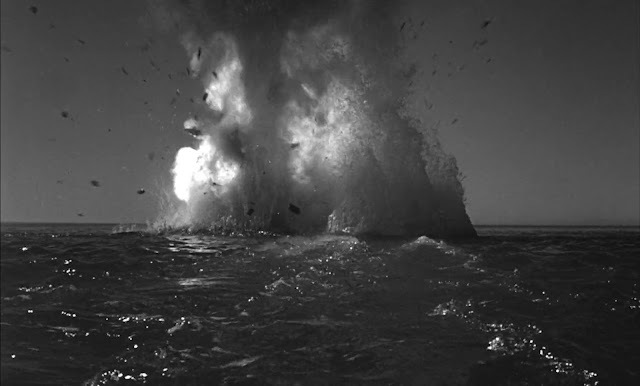 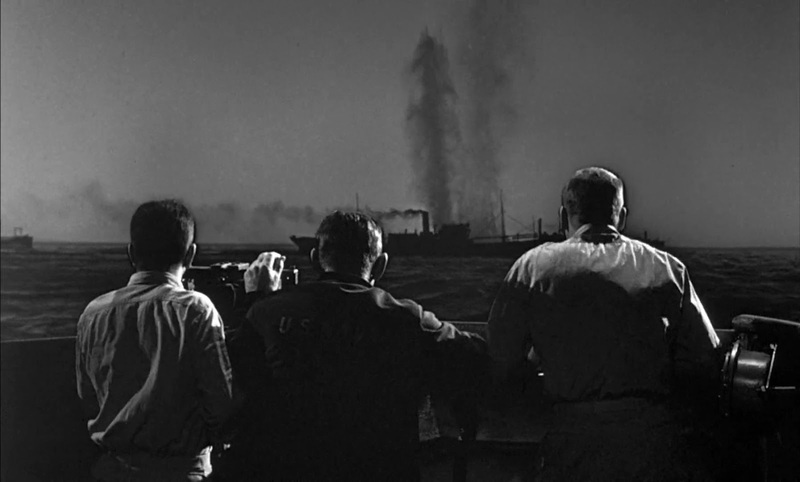 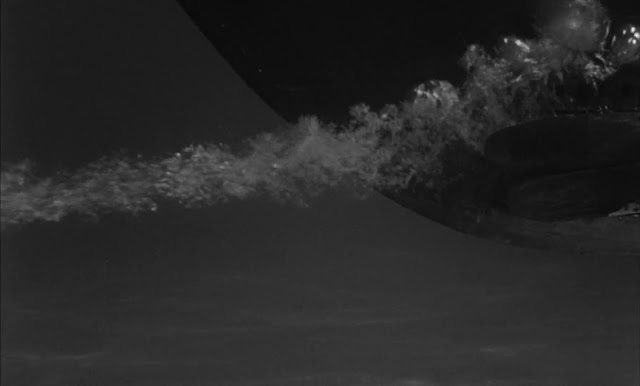 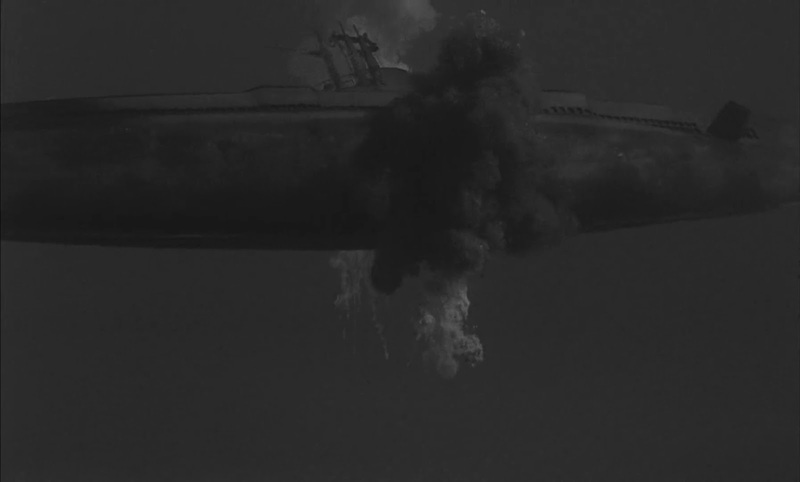 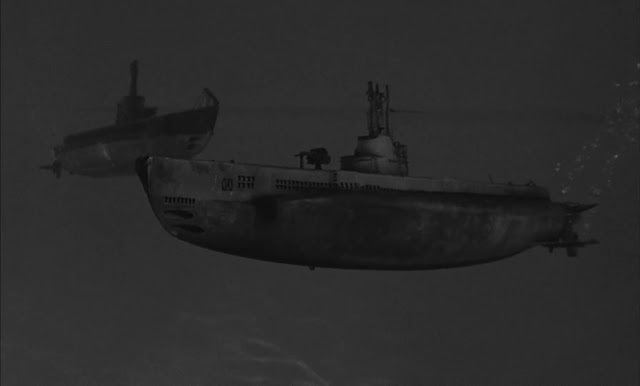 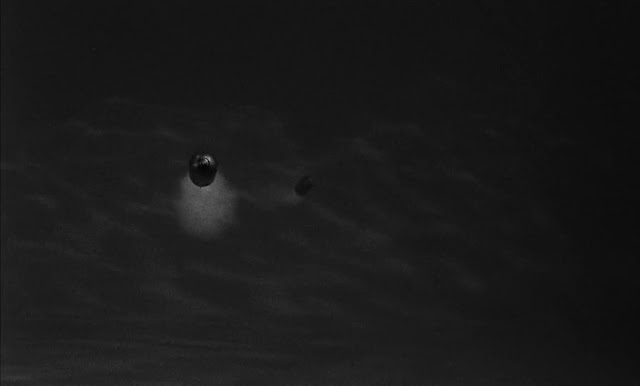 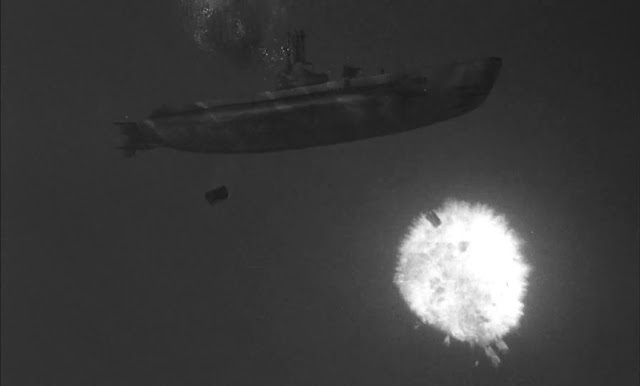 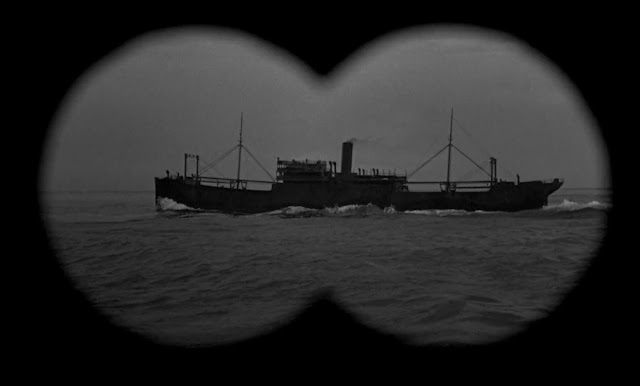 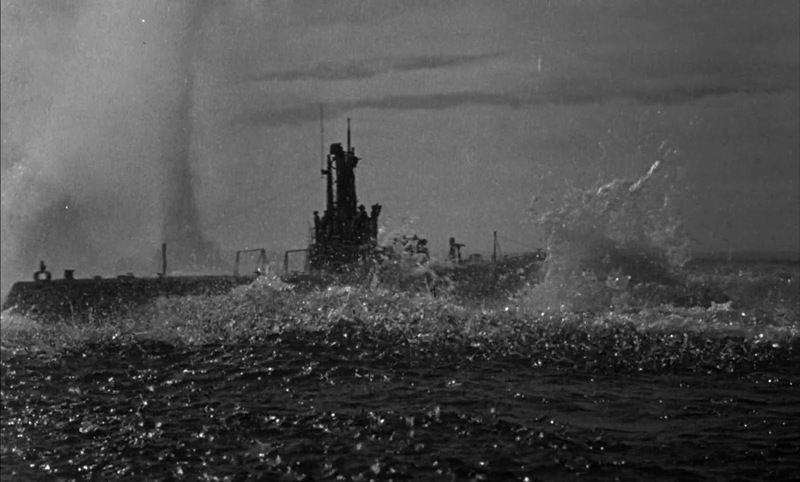 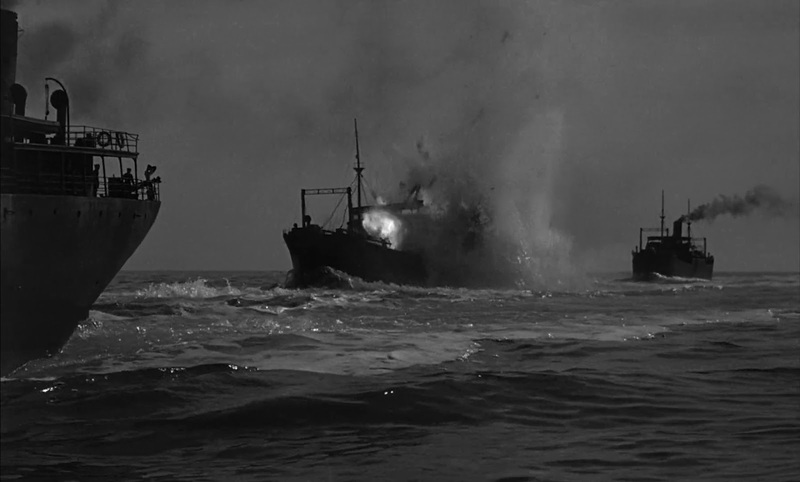 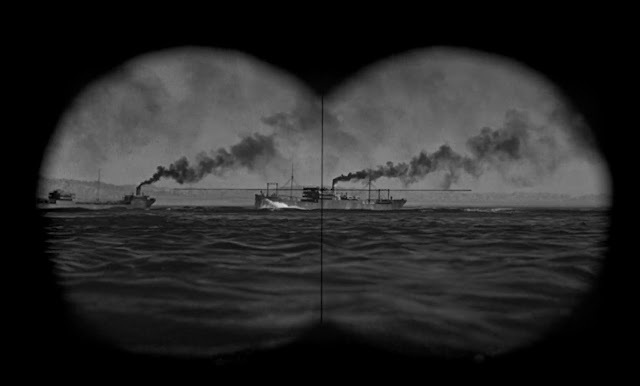 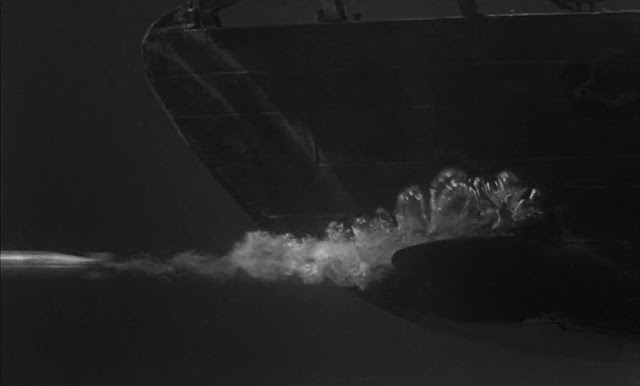 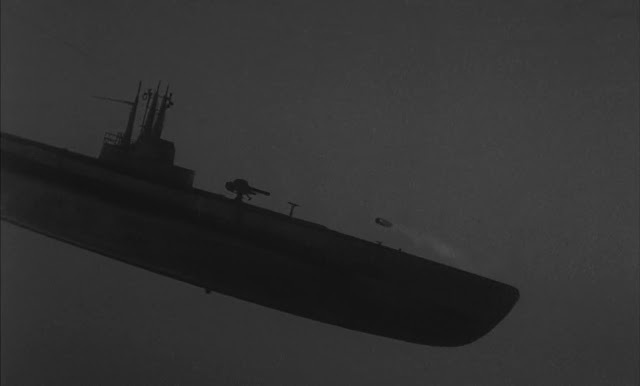 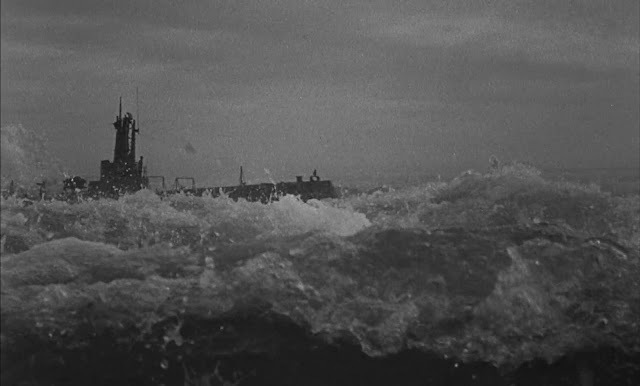 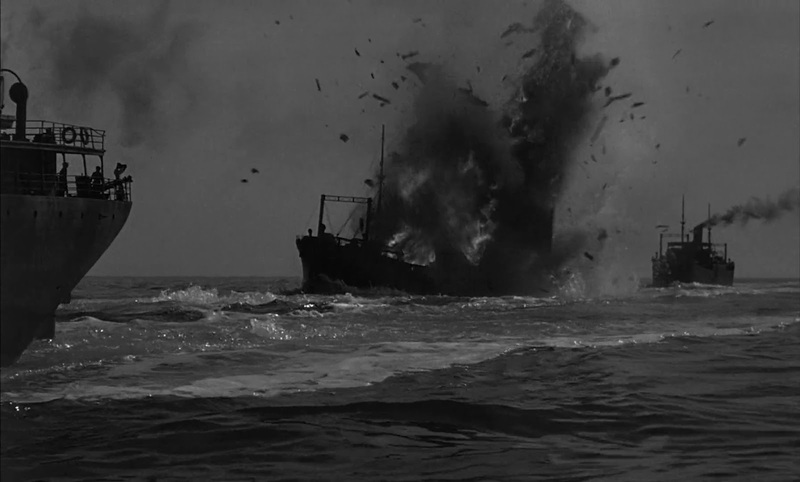 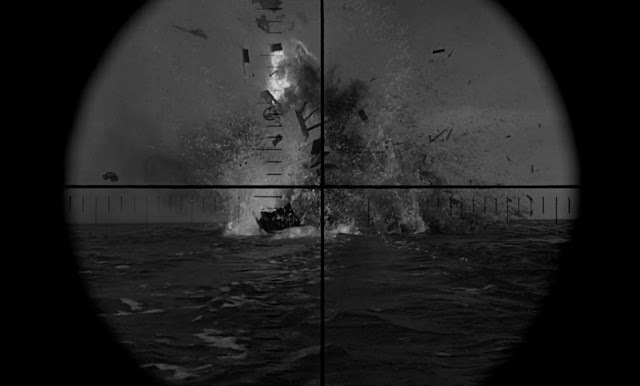 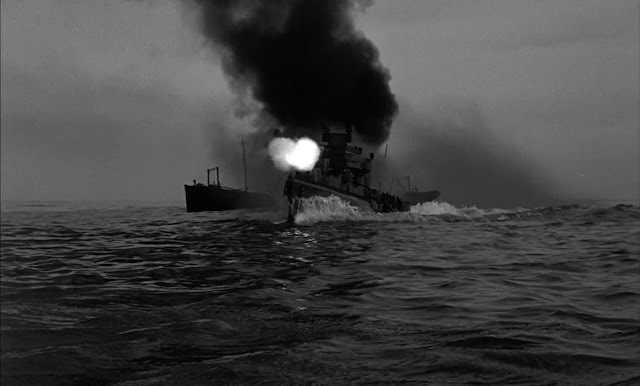 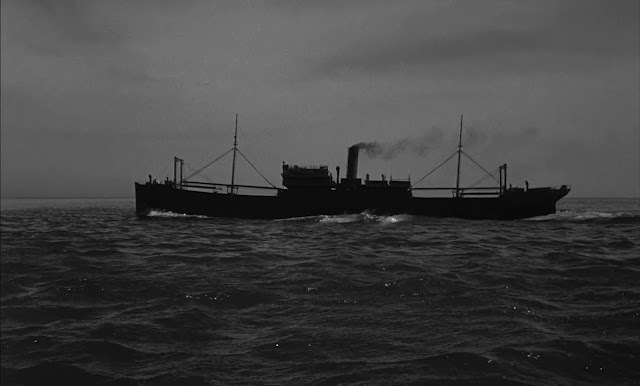 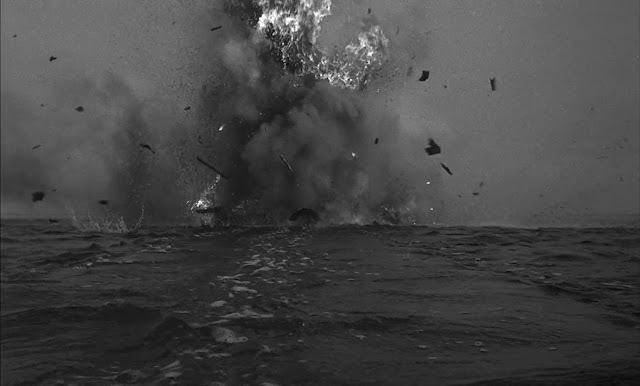 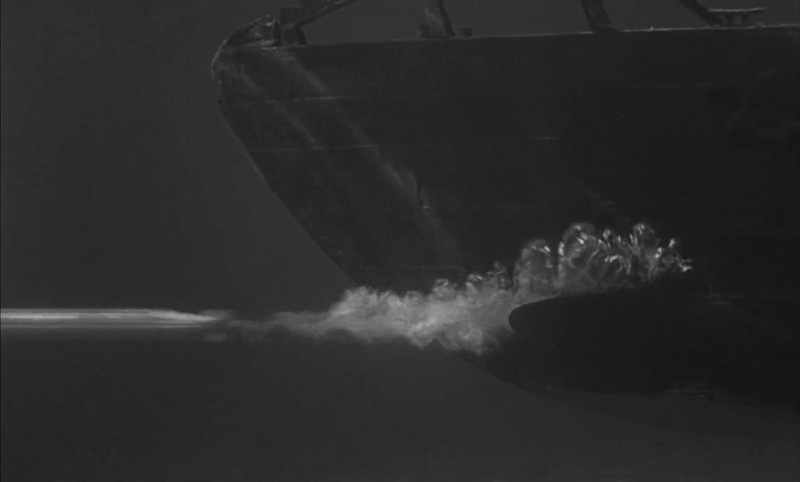 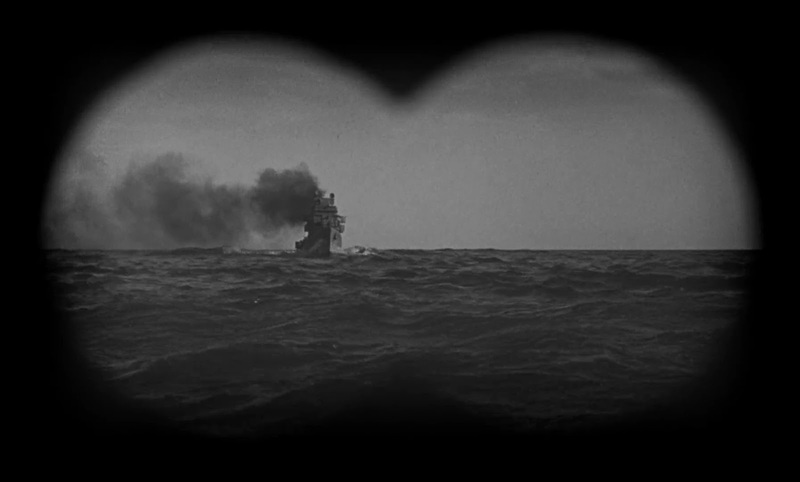 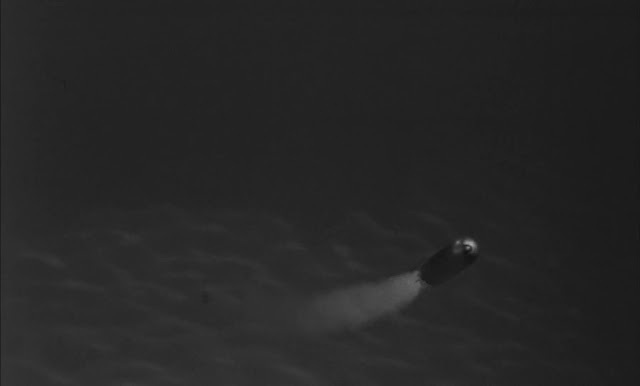 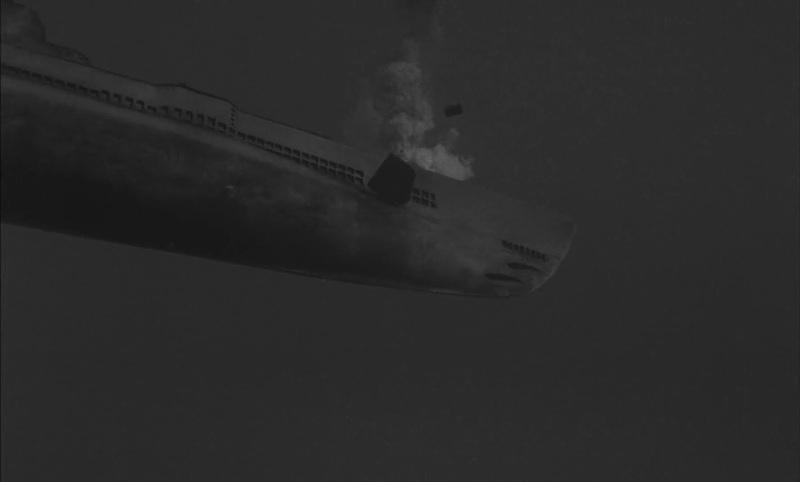 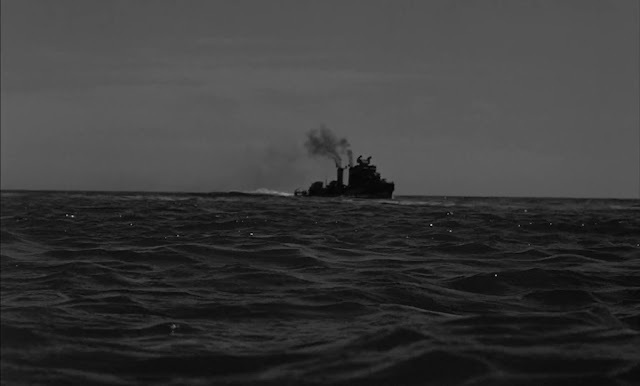 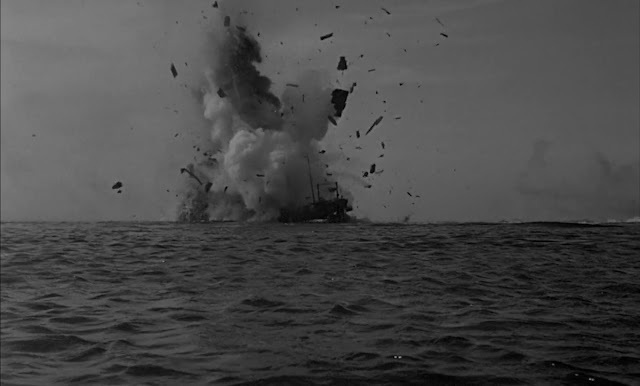 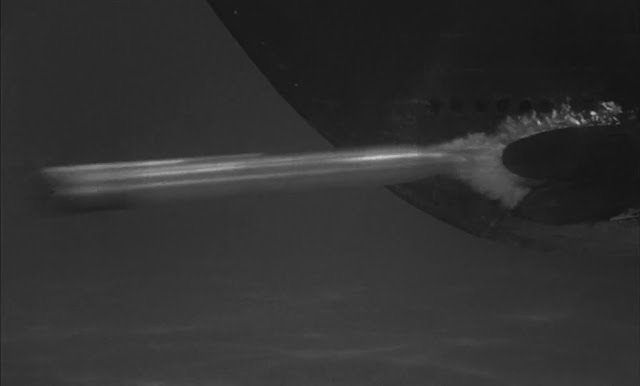 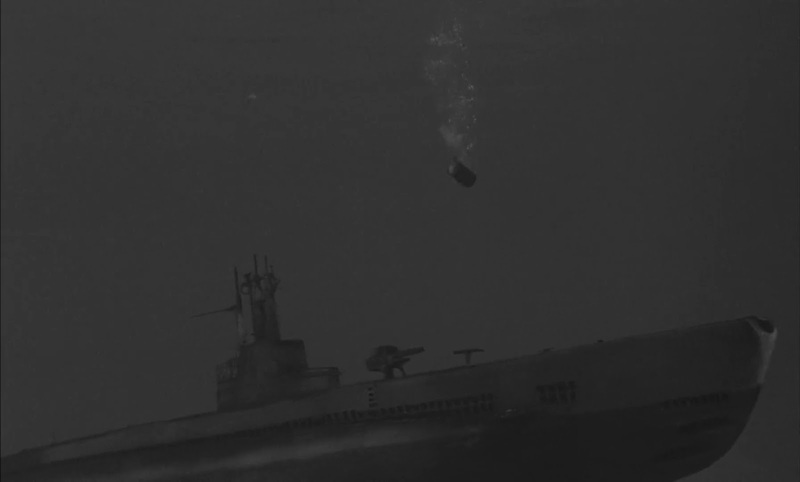 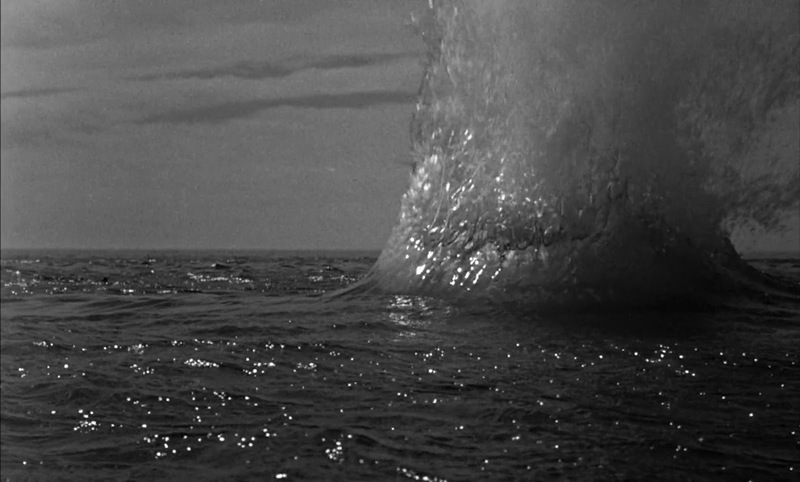 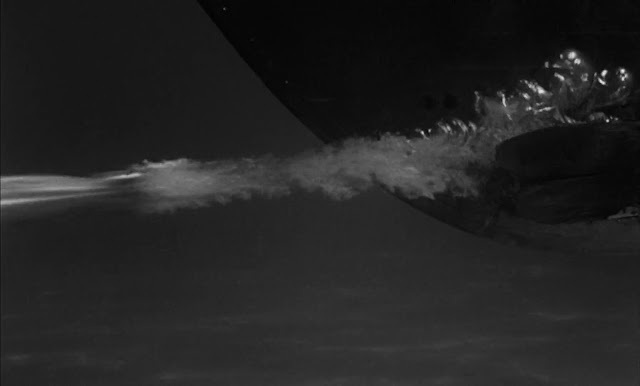 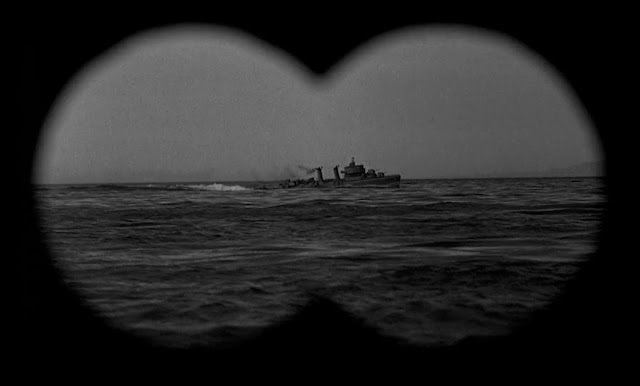 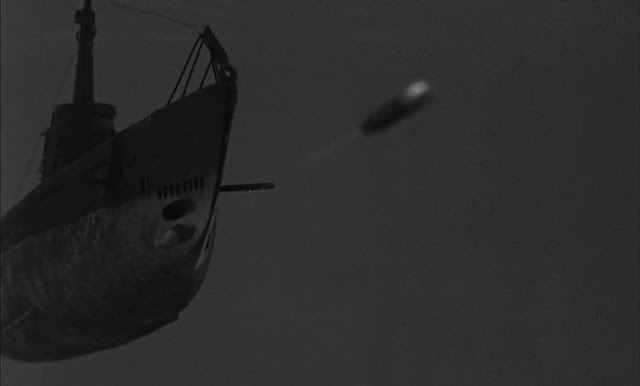 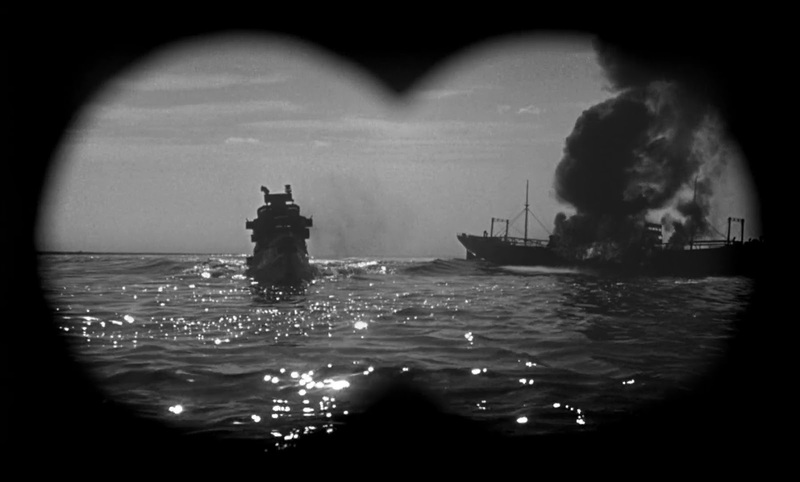 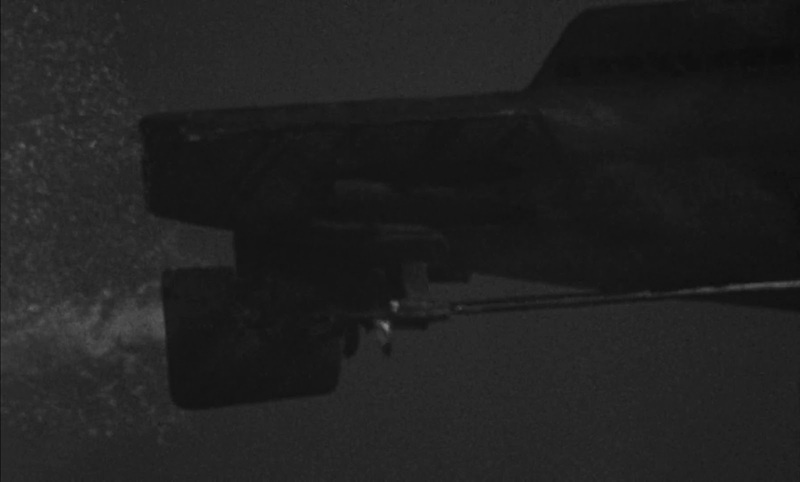 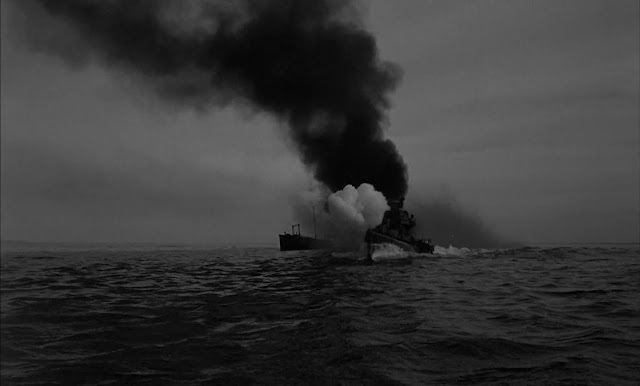 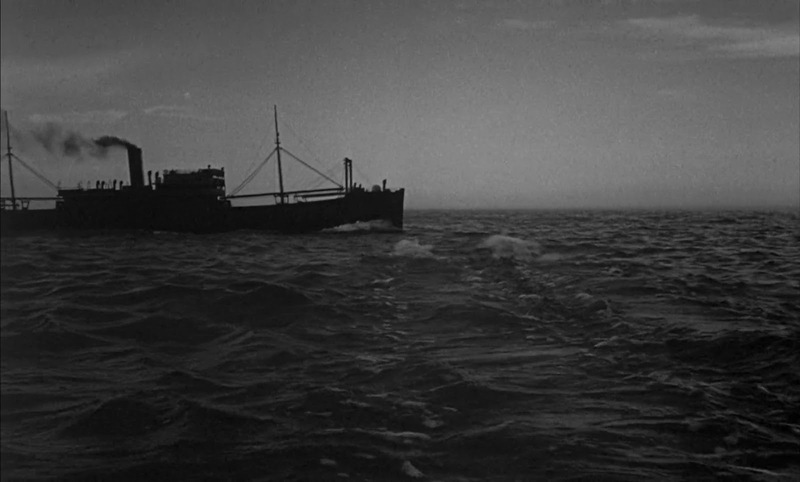 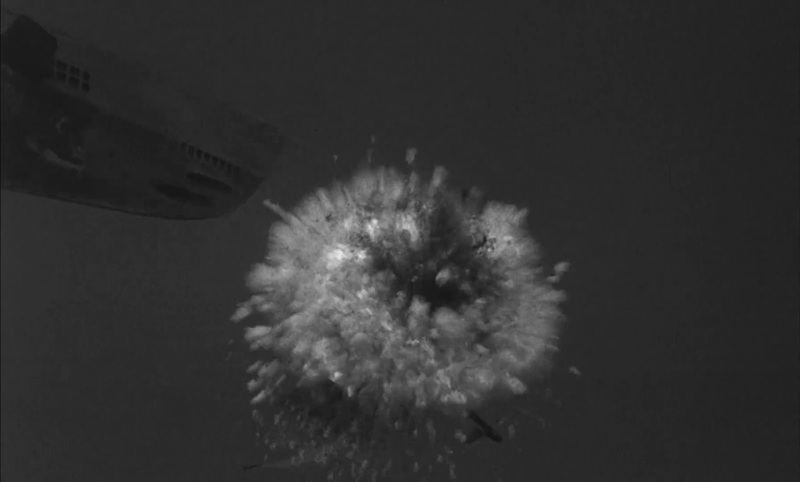 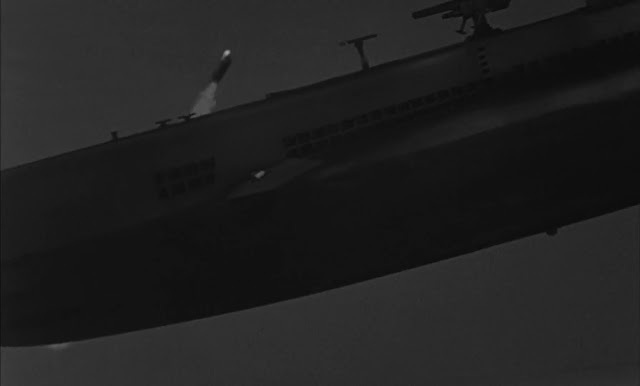 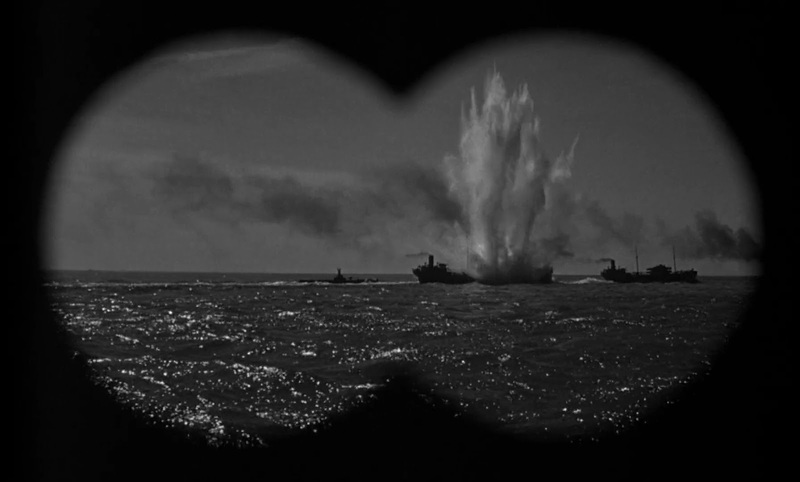 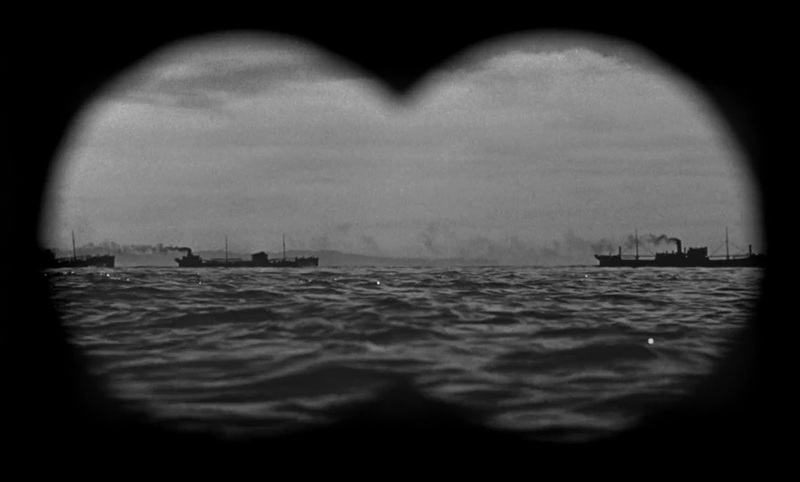 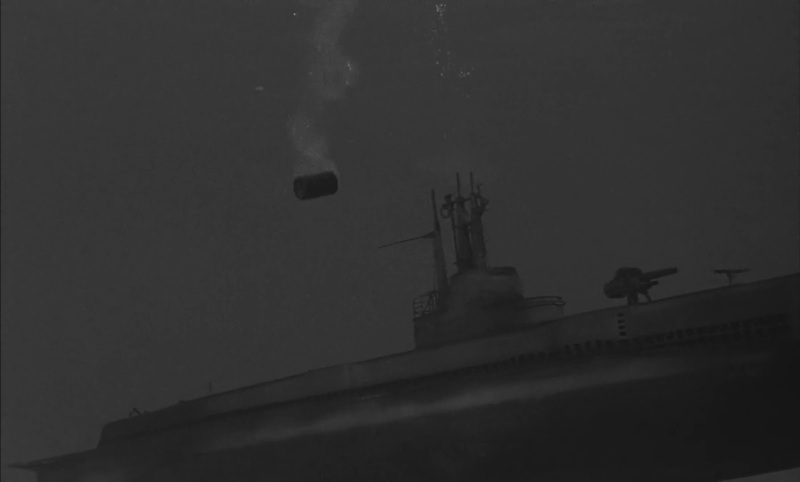 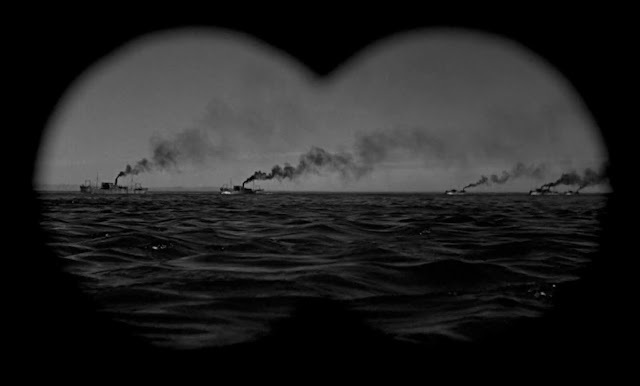 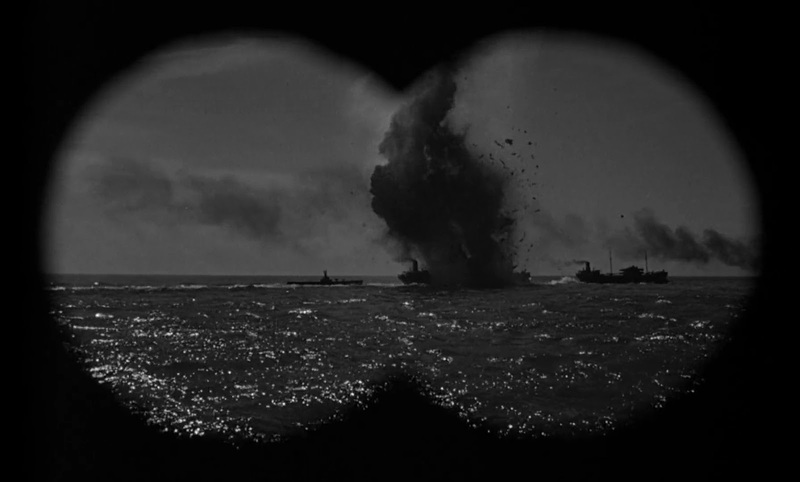 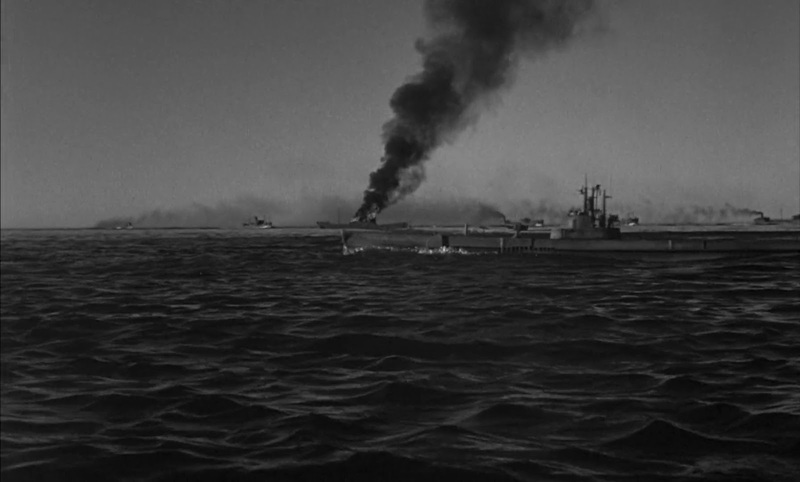 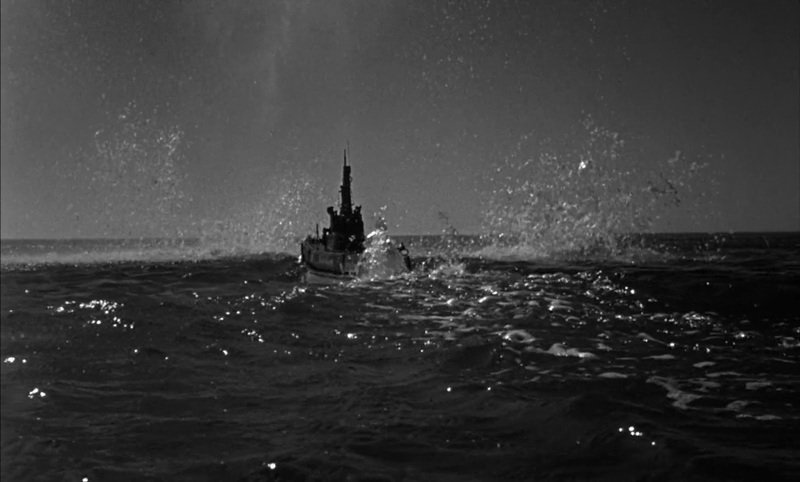 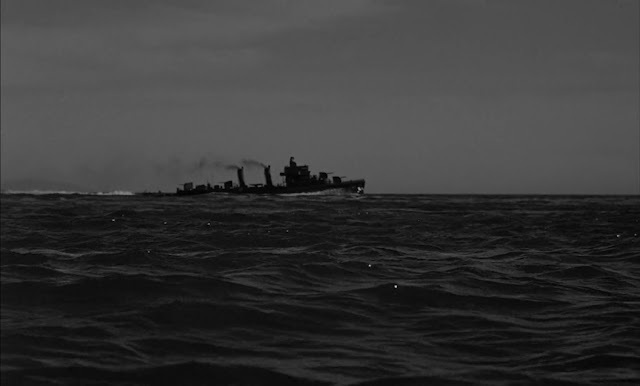 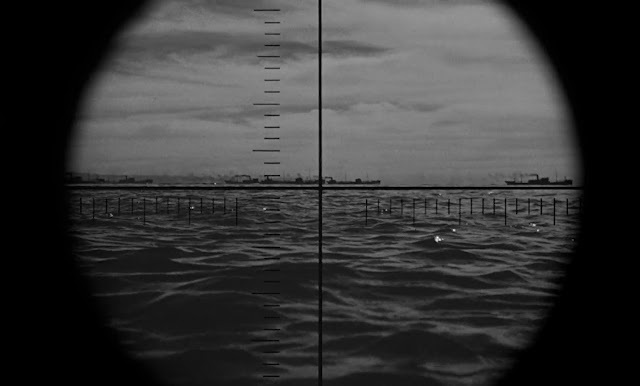 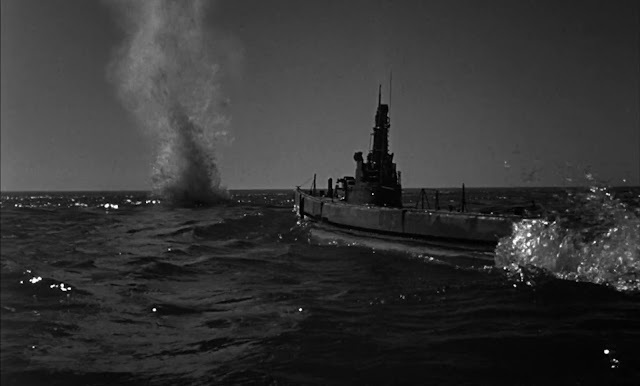 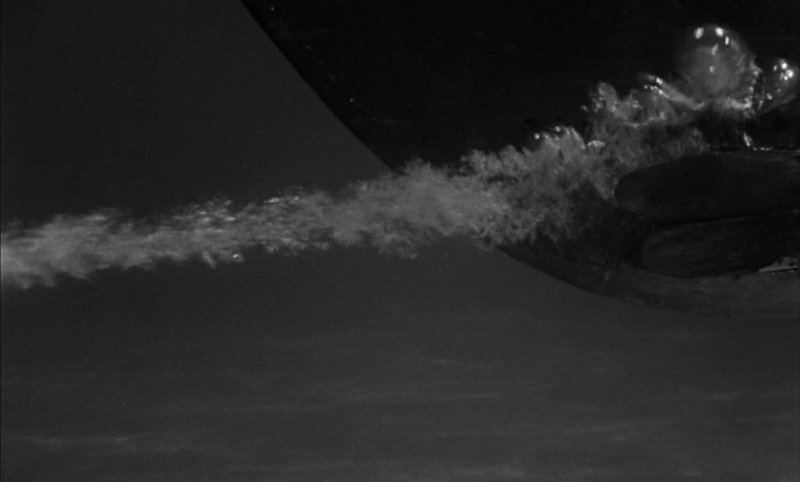 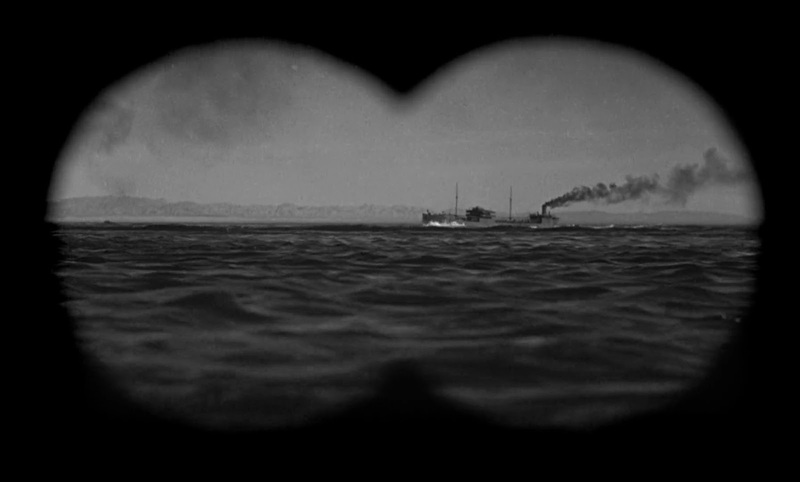 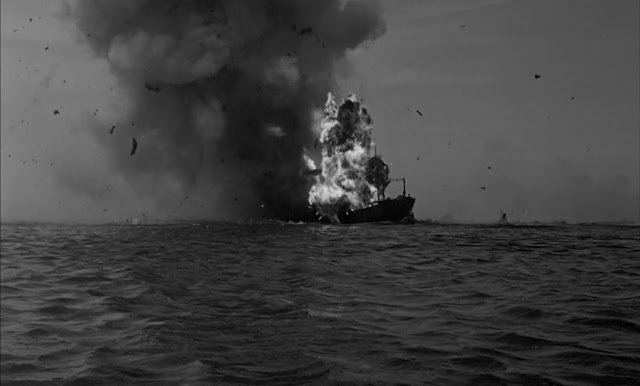 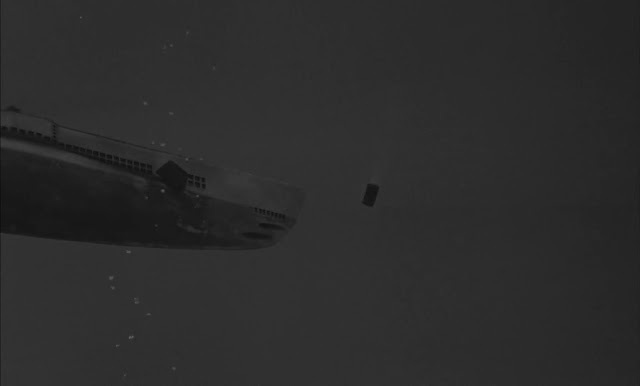 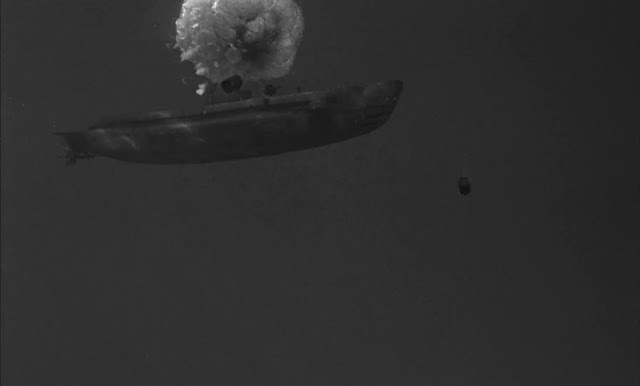 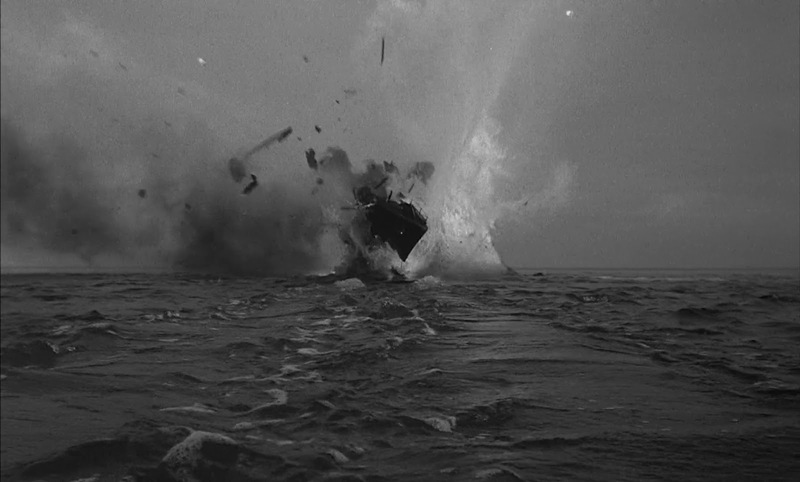 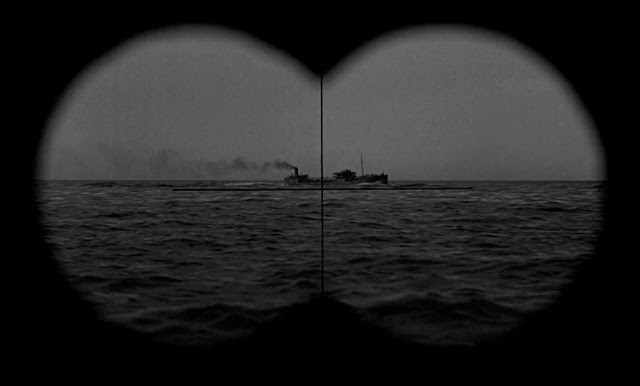 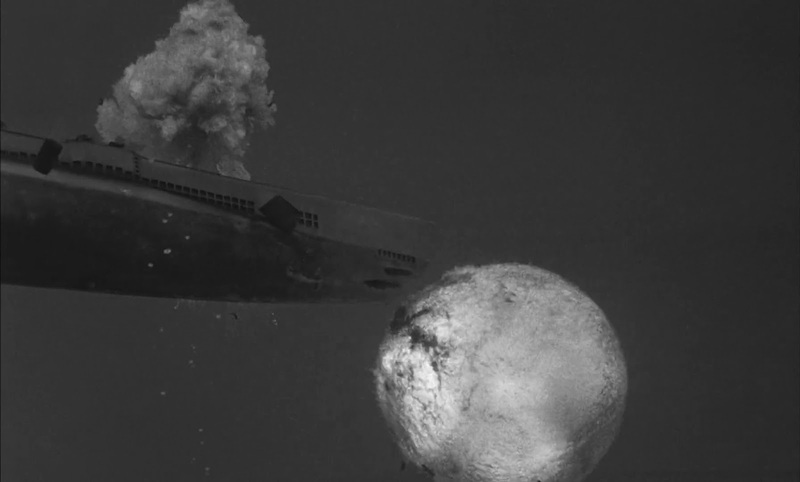 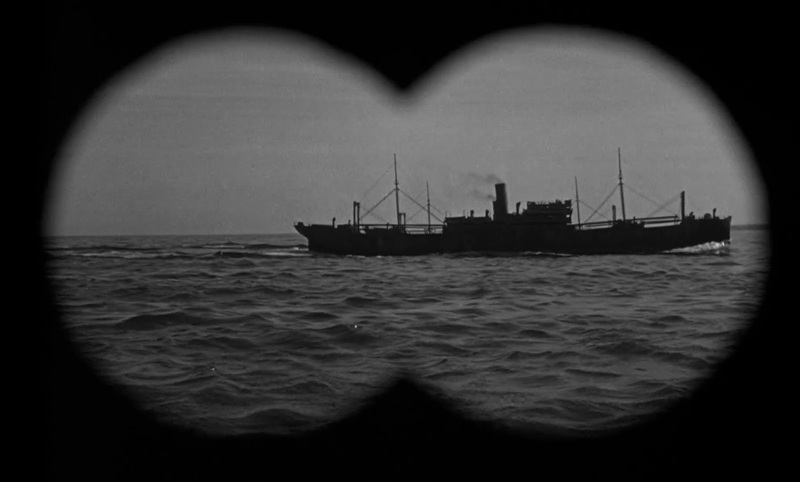 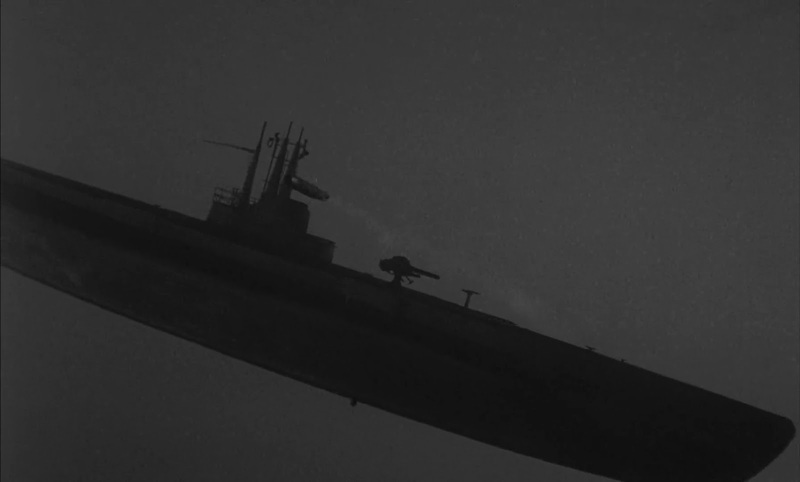 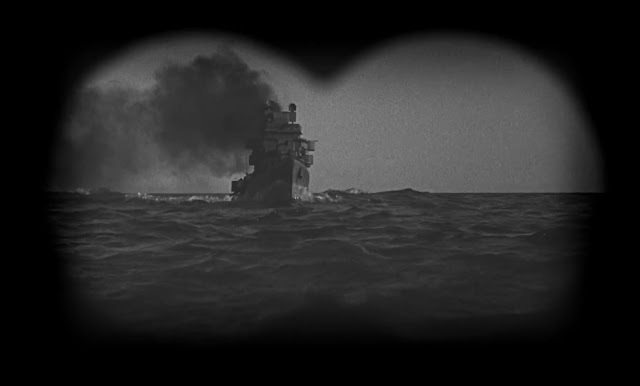 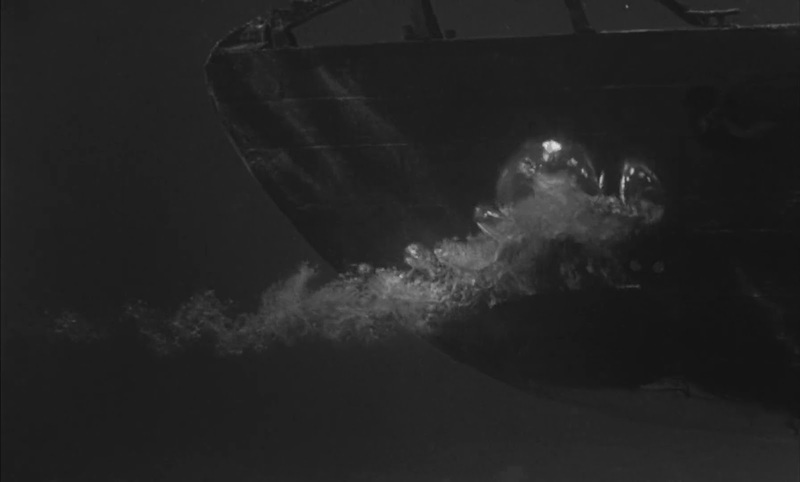 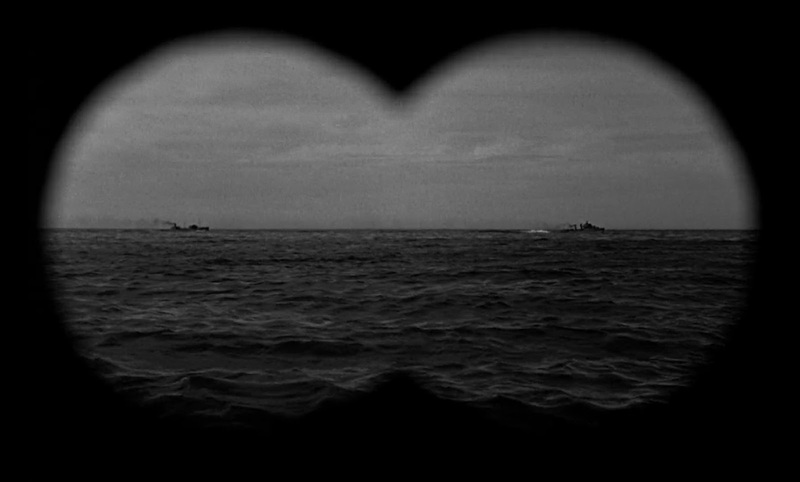 Along with the expertly produced bespoke model footage is the usual stock torpedo shots that appear again and again in model ship movies since the 1940's. 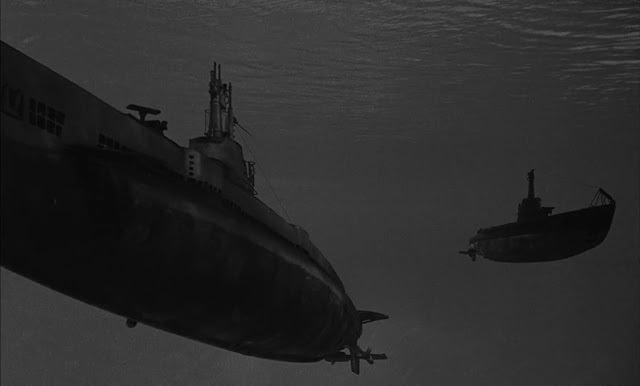 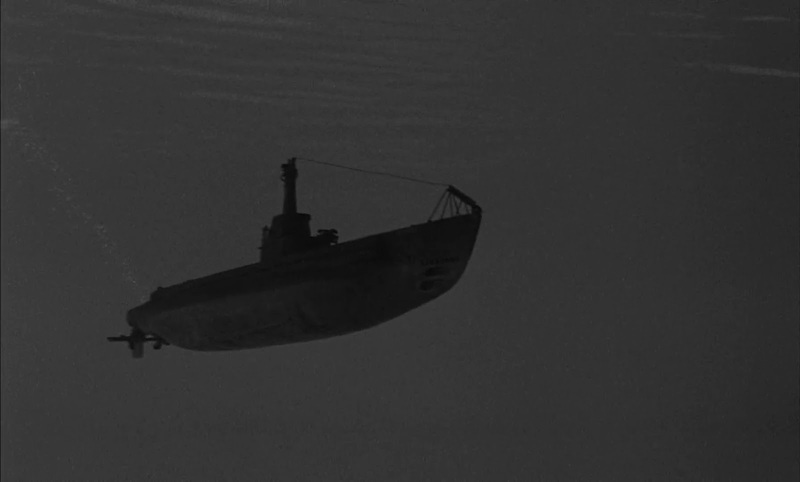 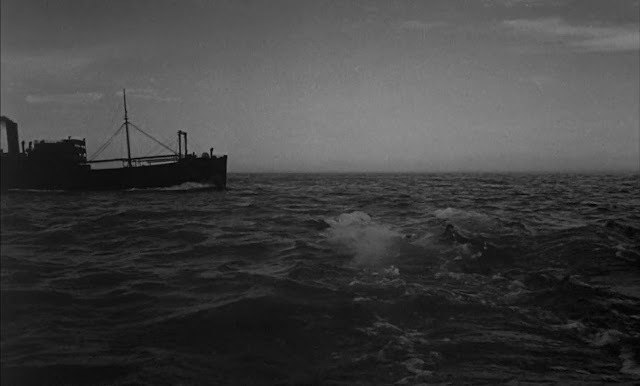 According to IMDB the underwater model sequences were shot at the Salton Sea, however it is more likely that the surface shots were done there with the underwater shots done in a Studio tank or pool. The Salton Sea is a very large lake in California which is now under some ecological pressure and greatly diminished from what it was in 1958. It was used as a miniatures filming site by Fantasy II Film Effects for shots of the NTI Ark spires rising up out of the sea in The Abyss (see The Abyss part 3). Thanks for profiling this movie. 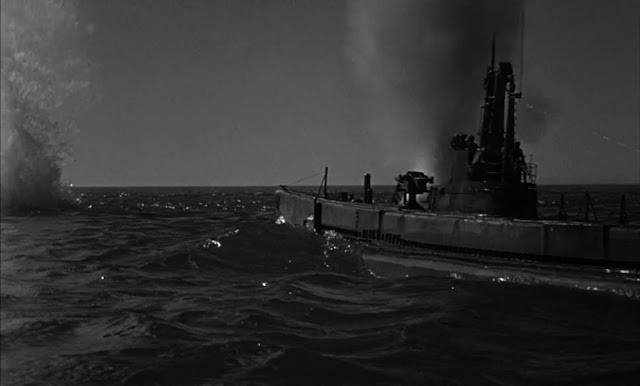 I had read the book before seeing the movie, and always found the plot of both to be implausible at best. 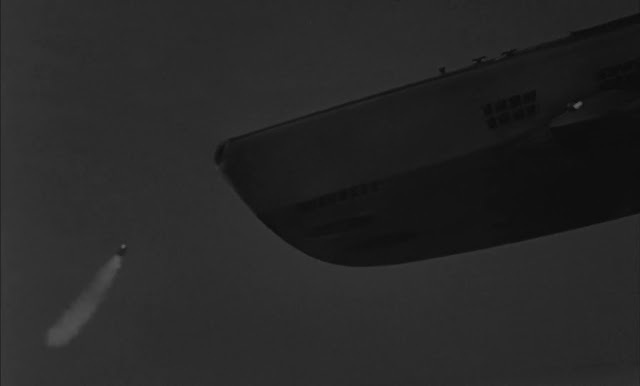 (Without giving away any spoilers, it’s a personal vengeance story.) 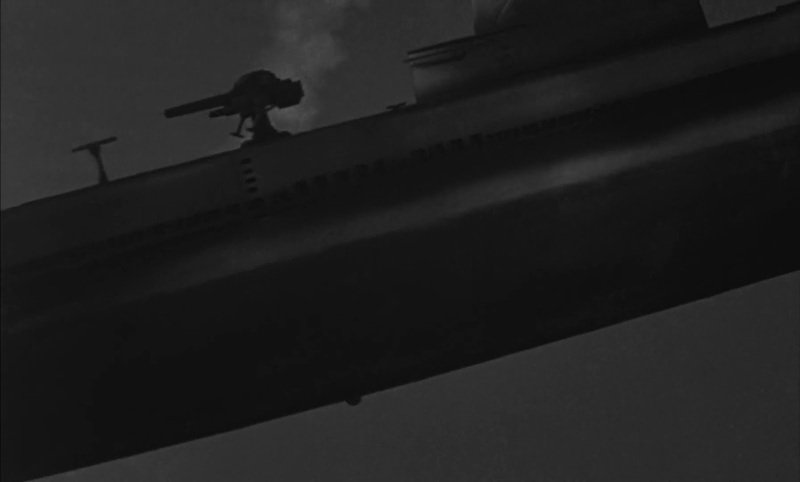 Nonetheless, it’s a fantastic look at the details of WWII underwater warfare, with great use of actual submarines, courtesy of the USN. There wouldn’t be another film like it until Hunt for Red October.